A great thermocline inversion places Satan entombed in a hell of ice. The angelic descent has made an impact crater whose unexploded ordinance is wedged, a nail of star iron, in the heart of the earth; a vision stolen from Islam, a solution to the problem of elements in conflict. A crystal intricacy of underworld has grown around that conceit in the secret caverns, and is brightly enamelled with a history of famous misdeeds. These are, in turn, enamelled in ice. At the nadir, Brutus, Cassius and Judas are devoured for their crimes against Caesar, State and Christ by the dread protagonist sunk to his waist, iron set in iron ground. Here is the indivisible trinity of Empire, trapped in an act of magic whose concentric locks are soldered frozen. The enemy does the work of the overlord, guarantees his ascendance. The power to torture, to consume, is shown as the ultimate sacrament of God’s love. It is a prison of permafrost reliant on a fatal seed of fire. Yet we are not so certain in our schematics, so trusting of any guide, so sure that there will be binary retribution. We feel the pulse of melt water even beneath our own skin. The cantos of Dante dramatically crack and calve into rising seas and inchoate chaos. The black sun, the seed of fire that Dante’s schema is arrayed about is the engine of violent change. The world is being reshaped one degree at a time. The prison spews forth its renditioned denizens; a Bastille, a Charenton, a black site liberated at whatever the cost. It is nature, and the great processes of nature that Dante as conjuror cannot restrain. We must therefore seek a new organic poetics that accounts for the violence of transformation, the instability of category and the contagion of exchange. We cannot expect straight answers, we need slant strategies. Against Dante’s spoiled colour and strata that heaves into geological disorder, we need sorcery, the art that transgresses boundaries, which sees the potential in that dynamism and does not shy from what it wreaks upon us all. 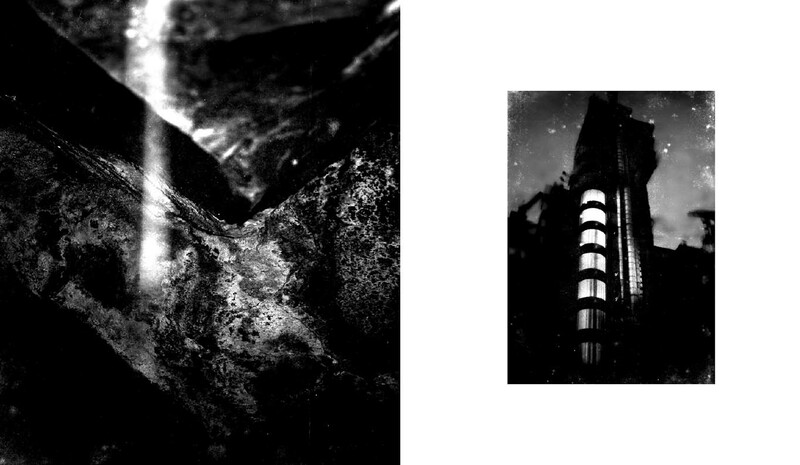 It is only a nocturnal art that can creep into the violated catacombs, explore the architecture of the bunker necropolis upon which the city and civilisation has been built. 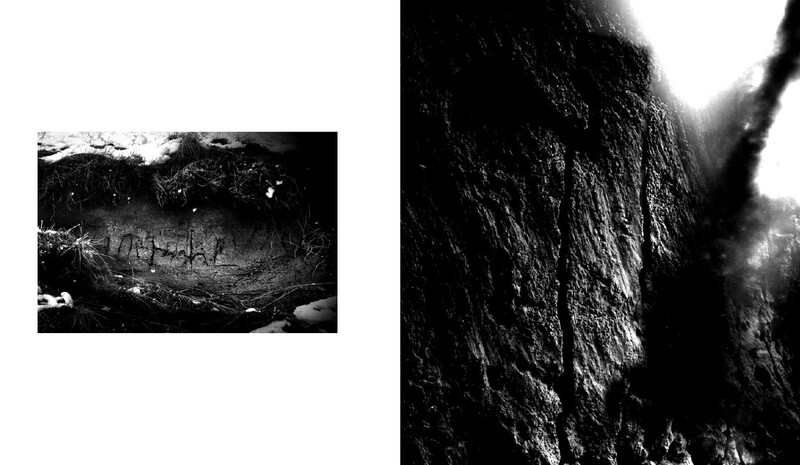 Gast Bouschet and Nadine Hilbert follow a path of katabasis; shadow, silt, and specks of light descending into the underworld. It is a descent that is verboten in a culture of surfaces, where the bright simulacra of consumer goods has no visible cost. In stark contrast, their palette is patiently ground from a mineral subterranean strata, yet it both glitters and compels, cannot be touched, and touches our unknown interiors. There is a profound sense of gratitude for the discovery of what we thought was lost but is the ephemeral and eternal mystery couched within the earth and in the labyrinth of our own bodies. We are enfolded in their work, and, as our eyes adjust to the darkness, we begin to inhabit a place where time, flows and awareness are initially disrupted but then assume a new coherence. The hierarchy of the senses, overstimulated by the demands of the digital — which excludes all introversion, all contemplation — return to an older order. It is in a return to a world without humans, before humans, of geological time and mythic time, that a profound healing seeps over us. The eye turns inward and the dark senses feel their way through space. Mollusc sense, spider sense, bat sense, snake sense stir and a sublime synesthesia engulfs us. But the work does not end there, we gain virus sense, root sense, rock sense, as the divisions between animate and supposedly dead matter are revealed as arbitrary mistakes of perception. Here is their Virgil, a hawser of spider silk under dramatic tension. Now snapped free and gesticulating endlessly expressively into the darkness, now as pendulum under a droplet weight. Examined minutely, discarded, brought back. We ourselves plunge deeper into the inferno drawn on by our fascination for the other side of being through solid rock, and along fine river tributary capilliaries. The mystery of Dante is the mystery of the body which does not end where we expect it to, but extends to infinity. The body is lost to the cave, and the realisation that there are no boundaries, or borders. There are no names of great men written here, not even human ghosts; the patience of a lens pressed against the impassive ice reveals a world that is emergent, chaotic and purposive. In the absence of text, of biological life as we would expect it, is another form of life found in sabbatic frenzy. Here is the world without us, a confrontation with non-human intelligences that can only be termed demonic, given their turbulent and virulent excess. We are confronted with the forces that have made and unmake men; it is a secret world that we are privileged to enter. The moment that we have entered into is one of first creation, the state out of time and being where raw matter is at it’s most creative and therefore most terrifying. The individual as bounded, created, finished, cannot exist here. It is not the world of God the Father, but of the unnamed and unnumbered. The revelation is one of extasis and pure horror. Morality is absent, motion has milled the stars themselves to dust. If you had lungs you would suffocate, if you had limbs they would be torn from you in a sparagmos of subatomic maenads, if you had volition or will it is subsumed to a storm that knows no horizon. You are not observing a work but participating in a ritual action that engulfs and destroys the observer. You are lost, obliterated. The artists are obscured in the act of making the darkness visible, and in absenting themselves allow the absenting of our particular humanity. They bring us all into the ur-state. Identity is removed, we are removed, at one with the galaxial vortex of motes. It is only at such a primal level that renewal can occur, and this is the secret of the artistic tradition. So Dante descends the perilous stairs for his appointment with the chimeric enemy and provides us with allegory. Austin Osman Spare, surrounded by the stink of feral cats and poverty, knots into death posture and draws forth the atavistic smoke of fleshy forms. Picasso meets his mask at Lascaux, the only sanctuary left after Guernica. The hybridity of animal and human is shown as a record of what has been seen, is behind the carefully crafted image. The sorcerors are cloaked and unrecognisable as humans, they demand that we confront a reality within ourselves and the world, microcosm and macrocosm, exculpate a more compelling truth than that to which we have hitherto born witness. But what happens when we go beyond the cave wall from which came the processions of game animals, lead in the dance by the theriomorphs. What happens when the forms themselves decay from hybridity into a black swarm of atoms, to bright stabs of light? Bouschet and Hilbert have a dread task: how to survive in a topographic collision of a thousand plateaus. Rock and ice, the texts of embedded time, the great houses of records have abandoned any pretence of linearity, circularity, seasonality. Whilst Dante must go through hell to find the trapdoor that opens onto the lowest rung of heaven, the stability of any foundation is shown by the unflinching pressure of the lens as illusory. Hope is abandoned, as it must be, but despair is not the outcome, only a stage in the work. Bouschet and Hilbert have a more radical Satanic aim than a vision of loss. Initiation is an ordeal, and by rights it must be. Behind the images is a cramped and painful practice, one of complete absorption and total presence. It is that force of will and attention that renders us down to a subatomic level; the obsession of the artists becomes our obsession. 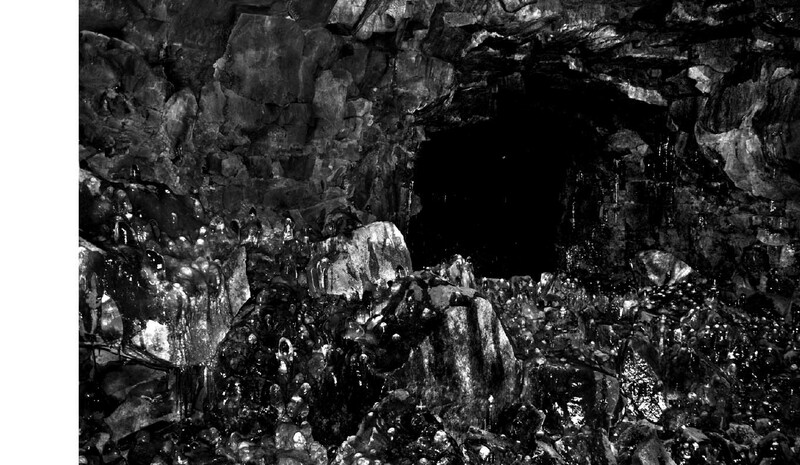 In problematising the divisions between mineral, vegetable and animal life we are washed of daylight and experience a profound nigredo lit by the black sun of the subterranean caverns. Scoured of our humanity, our species, our separation from the world of process an unexpected bliss arises, a sense of weightlessness. In the disorder is a beauty, won by rite of narrow passage and eclipse. The energy of Satan is revealed as the energy of the earth, the star matter, the endless creation of possibility through the destruction of order. We are made and unmade by the very process of liberation. Order is a temporary kingdom whose iron laws oxidise and fur into new zoetic forms. Having been disassembled so utterly, new possibilities can be seen. Totems pullulate, birthed from the deeper reality of the cave. The balletic progression of the spider, the bat make themselves known. They do not come as familiars, but are disordered into planes, claws, spasms, tensions. We have the mineral vision, the virus vision of flowing ice detritus. We have abandoned our sense of judgement, of distaste, which has been found absent at the deepest level. It is not Satan who has been inverted but the central maxim of hermeticism. Our text now reads: as below, so above. The transition has been made to the world of sorcery, of aggressive agency and volition against the imposition of order. By choice we are nocturnal agents, and we can extend the invisible senses and go forth by night. Transvection has been made possible by our abandonment of the human and the complicity — or can we even say implicit pact — with these allies. What has been seen in such mysteries cannot be unseen. Such is the power of the artistic vision. The anabasis, the ascent, is to a world built upon these secrets but in absolute denial of them. A world as city governed by the same flows but concealed beneath well-cut suits. These realities are seen in continuity, glimpsed from beneath the gratings and access points to the guts, the intestines and labyrinth of an hollow earth. Commuters endlessly descend, commuted beneath the streets into dangerous proximity with the infernal forces. There is a guillotine fall of elevators, a mill of revolving doors. The world of progress and commerce is surveilled, made accountable. If the germ of heat promises transformation and life in the underworld, the city too has consequences in the world of men, trading all our futures for short term gain. One cannot apply a single reading to the work, that would be to defy its absolute virulence, the forces which are at once corrosive and transformative. What is at work here is, and can only be, accounted for in terms of sorcery. It flashes forth in the crescent sliver of solar eclipse, just as the city lights glare and scorch out the frame. It insists on the acceptance of an ecology that has not excised horror, an art that is both weapon and plague. Ruling the City of London, the city as London, is the dragon. This is a troubling heraldry, as the dragon can only be Satan as demiurge. Viewed from the hollow earth, the world that contains the cosmic forces that made the stars, something has gone terribly wrong. The holy terror of a microcosmic world that is a throng of entities has been extracted and turned into absolutism. become the standard work on the goddess of Revelation. His Apocalyptic Witchcraft has been called the most important modern book on witchcraft, placing it in the mythico-poetic context of the Sabbat and in a landscape suffering climate and ecological collapse. His most recent work, Lucifer: Princeps, is a study of the origins of the figure of Lucifer. Further essays can be found in Howlings, Devoted, At the Crossroads and XVI. His work has also appeared in numerous small journals and collections, such as The Fenris Wolf, as well as online. Peter Grey has spoken at public events and conferences in England, Scotland,Norway and the United States as well as closed gatherings. He is currently writing Lucifer:Praxis, and his collected essays with Alkistis Dimech will be published in The Brazen Vessel later this year. Une gigantesque inversion thermocline ensevelit Satan dans un enfer de glace. La chute de l’ange a créé un cratère d’impact dont la charge non explosée, clou de fer étoilé, est encastrée dans les entrailles de la Terre ; une vision volée à l’Islam, une solution au problème des éléments en conflit. Un monde souterrain d’une complexité de cristal s’est développé autour de cette vanité au fond des cavernes secrètes, brillamment émaillé de récits de célèbres méfaits. Ces derniers sont, à leur tour, émaillés dans la glace. En son point le plus bas, Brutus, Cassius et Judas sont dévorés pour les crimes commis contre César, l’État et le Christ, par le terrible protagoniste immergé jusqu’à la taille, fer pris dans le fer. Voici l’indivisible trinité de l’Empire, piégée dans un acte de magie dont les boucles concentriques sont soudées par la glace. L’ennemi fait le travail du seigneur suprême, garantit son ascendance. Le pouvoir de torturer, de dévorer, est ontré comme l’ultime sacrement de l’amour de Dieu. C’est une prison de permafrost tributaire d’une graine de feu fatale. Nous ne sommes pourtant pas si sûrs de nos plans, si confiants dans ceux qui nous guident, ni si certains qu’un châtiment binaire adviendra. Nous sentons la pulsation des eaux de fonte, même sous notre peau. Les chants de Dante se fissurent avec fracas et accouchent de mers montantes et d’un chaos confus. Le soleil noir, la graine de feu au centre du schéma de Dante, est le moteur de ce changement violent. Le monde est remodelé un degré à la fois. La prison recrache ses occupants en reddition ; une Bastille, un Charenton, un site noir libéré à n’importe quel prix. C’est la nature, et ses puissants phénomènes, que Dante, en qualité de conjurateur, ne peut contenir. Nous devons alors chercher une nouvelle poétique organique à même de rendre compte de la violence de la transformation, de l’instabilité de la catégorie et de la contagion de l’échange. Nous ne pouvons pas espérer recevoir de réponses claires, nous avons besoin de stratégies obliques. Pour contrer les couleurs pâlies de Dante et les strates qui se transforment en désordre géologique, il nous faut la sorcellerie, l’art qui transgresse les limites, qui saisit le potentiel de ce dynamisme et qui ne craint pas les écueils sur lesquels il nous fait tous nous échouer. Seul un art nocturne peut ramper à travers les catacombes violées et explorer l’architecture de la nécropole-bunker sur laquelle la ville et la civilisation ont été fondées. croyions perdu, mais qui est le mystère éternel et éphémère tapi dans la terre et dans le labyrinthe de nos propres corps. Nous sommes enveloppés dans leur oeuvre, et à mesure que nos yeux s’habituent à l’obscurité, nous commençons à habiter un lieu où le temps, les flux et la conscience sont tout d’abord perturbés, puis prennent ensuite une nouvelle cohérence. La hiérarchie des sens, surstimulée par les exigences du numérique – qui excluent toute introversion, toute contemplation – revient à un ordre plus ancien. C’est à travers un retour à un monde sans humains, avant les humains, aux temps géologiques et mythiques, que s’opère en nous une profonde guérison. L’oeil se tourne vers l’intérieur et les sens obscurs se fraient un chemin à travers l’espace. Se mêlent alors le sens du mollusque, le sens de l’araignée, le sens de la chauve-souris et le sens du serpent, et une sublime synesthésie nous submerge. Mais l’oeuvre ne s’arrête pas là, et nous acquérons le sens du virus, des racines, de la roche, ce qui sépare la matière animée de la matière supposée morte, qui se révèle n’être que des erreurs arbitraires de perception. Voici leur Virgile, une haussière de soie d’araignée sous une tension dramatique. À présent libéré, il gesticule sans fin et avec vigueur dans l’obscurité, désormais pendule sous le poids d’une goutte. Minutieusement examiné, écarté et ramené. Nous plongeons nous mêmes dans l’enfer, attirés par notre fascination pour l’autre côté de l’être à travers la solidité de la roche, et le long des capillaires des affluents du fleuve. Le mystère de Dante est le mystère du corps qui ne finit pas là où nous l’attendons, mais qui s’étend à l’infini. Le corps se dissout dans la caverne, nous faisant réaliser l’absence de limites ou de frontières. forces qui ont fait et qui défont les hommes ; c’est dans un monde secret que nous avons le privilège de pénétrer. Le froid l’inconfort la solitude et l’immobilité de la caverne parlent sans mots : Nous sommes déjà venus ici. Le moment où nous y sommes entrés est un moment de création originelle, l’état hors du temps et de l’être où la matière première est la plus créative et donc la plus terrifiante. L’individu limité, créé, achevé, ne peut exister ici. Ce n’est pas le monde de Dieu le Père, mais celui de l’innommé et de l’innombrable. La révélation est à la fois extase et pure horreur. La morale est absente, le mouvement a broyé jusqu’aux étoiles en poussière. Si vous aviez des poumons, vous suffoqueriez, si vous aviez des membres, ils vous seraient arrachés dans un sparagmos de ménades subatomiques, si vous aviez de la volonté, elle serait engloutie dans une tempête qui ne connaît pas d’horizon. Vous n’observez pas une oeuvre, mais participez à une action rituelle qui submerge et détruit le spectateur. Vous êtes perdu, anéanti. Les artistes sont obscurcis dans l’acte de rendre visibles les ténèbres, et en s’absentant eux-mêmes, permettent l’absence de notre humanité particulière. Ils nous emmènent tous au temps du continent Ur. L’identité est supprimée, nous sommes supprimés, en communion avec le vortex galaxial des particules. Ce n’est qu’à un niveau aussi primitif que le renouveau peut se produire, et c’est là le secret de la tradition artistique. Dante descend ainsi les périlleuses marches le menant à sa rencontre avec l’ennemi chimérique et nous offre son allégorie. Austin Osman Spare, enveloppé dans la puanteur des chats sauvages et de la pauvreté, se ligote dans la posture de la mort et attire la fumée atavique des formes de chair. Picasso rencontre son masque à Lascaux, le seul sanctuaire restant après Guernica. L’hybridité entre l’animal et l’humain est montrée comme réminiscence de ce qui a été vu, derrière l’image sculptée avec soin. Les sorciers, dissimulés et méconnaissables en tant qu’humains, exigent que nous affrontions une réalité en nous-mêmes et dans le monde, microcosme et macrocosme, disculpant une vérité plus convaincante que celle dont nous avons jusqu’ici été témoins. Mais que se passe-t-il lorsque l’on franchit le mur de la caverne d’où sont venues les processions de gibier, entraînées dans la danse par les thériomorphes ? Que se passe-t-il lorsque les formes elles-mêmes se désintègrent de l’hybridité en un essaim noir d’atomes, puis en de vifs coups de couteau de lumière ? Bouschet et Hilbert ont une tâche redoutable : comment survivre dans une collision topographique de mille plateaux ? La roche et la glace, les textes du temps gravé, les grands fonds d’archives ont abandonné toute velléité de linéarité, de circularité, de saisonnalité. Tandis que Dante doit traverser l’enfer pour trouver la trappe qui s’ouvre sur la sphère la plus basse du paradis, la stabilité de toute fondation est révélée par la pression inébranlable de l’objectif comme illusoire. Si l’espoir est abandonné, tel qu’il doit l’être, le désespoir n’est pas l’issue mais seulement une étape du travail. L’objectif satanique de Bouschet et Hilbert est plus radical qu’une vision de perte. L’initiation est une épreuve, et de plein droit, il faut qu’elle le soit. Derrière les images se trouve une pratique inconfortable et douloureuse, celle de l’absorption complète et de la présence totale. C’est cette force de volonté et d’attention qui nous fait revenir à un niveau subatomique ; l’obsession des artistes devient notre obsession. En problématisant les divisions entre vie minérale, végétale et animale, nous sommes lavés de la lumière du jour et faisons l’expérience d’une profonde nigredo éclairée par le soleil noir des cavernes souterraines. Dépouillés de notre humanité, de notre espèce, de notre séparation du monde du processus, une extase inattendue survient, une sensation d’apesanteur. Dans le désordre se trouve une beauté, conquise par le rite de l’étroit passage et de l’éclipse. L’énergie de Satan se révèle comme l’énergie de la terre, la matière stellaire, la création sans fin du possible par la destruction de l’ordre. Nous sommes faits et défaits par le processus même de libération. L’ordre est un royaume temporaire dont les lois de fer s’oxydent et se transforment en de nouvelles formes zoétiques. Après avoir été si totalement disloquées, de nouvelles perspectives peuvent apparaître. Les totems pullulent, enfantés par la réalité profonde de la caverne. Le ballet que dansent l’araignée, la chauvesouris, est révélé. Elles ne se présentent pas à nous comme des êtres familiers, mais se décomposent en plans, griffes, spasmes et tensions. Nous avons la vision minérale, la vision virale des détritus de glace qui s’écoulent. Nous avons abandonné notre sens du jugement, du dégoût, qui s’est avéré absent au degré le plus profond. Ce n’est pas Satan qui a été inversé, mais bien la maxime centrale de l’hermétisme. Notre texte se lit à présent comme ceci : ce qui est en bas est comme ce qui est en haut. La transition s’est opérée vers le monde de la sorcellerie, de l’entité agressive et de la volonté de s’opposer à l’imposition de l’ordre. Par choix, nous sommes des agents nocturnes, et nous pouvons développer les sens invisibles et avancer dans la nuit. La transvection a été rendue possible par notre abandon de l’humain et par la complicité – ou ce que nous pouvons même appeler un pacte implicite – avec ces alliés. Ce qui a été vu au sein de tels mystères ne peut redevenir invisible. Telle est la puissance de la vision artistique. L’anabase, l’ascension, mène à un monde bâti sur ces secrets, mais qui les nie en bloc. Un monde semblable à une ville gouvernée par les mêmes flux, mais dissimulé sous des complets bien taillés. Ces réalités sont vues en continu, entrevues à travers les grilles d’égout et les points d’accès aux entrailles, aux intestins et au labyrinthe d’une terre creuse. Les banlieusards descendent sans cesse, transportés sous les rues, dangereusement proches des forces infernales. Le couperet de la guillotine des escalators, le moulin à broyer des portes tournantes. Le monde du progrès et du commerce est sous surveillance, tenu pour responsable. Si le germe de la chaleur promet la transformation et la vie dans les ténèbres, la ville a également des conséquences dans le monde des hommes, troquant tous nos avenirs contre un profit à court terme. On ne saurait appliquer un seul niveau de lecture à l’oeuvre, ce serait défier sa virulence absolue, les forces à la fois corrosives et transformatrices. Ce qui est ici à l’oeuvre ne peut être expliqué qu’à l’aune de la sorcellerie. Elle clignote dans l’éclat du croissant de l’éclipse solaire, tout comme les lumières de la ville éblouissent et roussissent le cadre. Elle insiste sur l’acceptation d’une écologie qui n’a pas excisé l’horreur, un art qui est tout à la fois arme et épidémie. Celui qui dirige la Ville de Londres, la ville-Londres, est le dragon. C’est un blason troublant, car le dragon ne peut être Satan qu’en tant que démiurge. Vu de la terre creuse, le monde qui contient les forces cosmiques qui ont créé les étoiles, quelque chose s’est terriblement mal passé. La sainte terreur qu’inspire un monde microcosmique, nuée d’entités, a été escamotée et transformée en absolutisme. L’oeuvre est juxtaposition délibérée et, par là même, introduit le vecteur de contagion comme le secret profond de toute existence. Le monde grouille de vie, alors même que nous assistons à la sixième extinction de masse, à la production de masse du désir et à la standardisation de ces objets de désir comme marchandises et illusions. La pandémie s’étend sous la ville à travers les passages secrets qui mènent aux entités dont l’hubris les fait se proclamer maîtres de l’univers. Une malédiction gronde, s’élevant du ventre de la terre et s’abattant de la catastrophe des cieux qui y répondent. Voici donc la sorcellerie en tant qu’art, un art qui se renouvelle comme une pratique occulte à travers la mise en oeuvre d’une malédiction délibérée, ayant redécouvert à la fois la nécessité et le mystère. La raison n’en est jamais trouvée que dans le travail profond de l’abîme, où peu s’aventureront ; voilà notre place au sein du drame de l’existence et de la non-existence auquel nous initie l’oeuvre de Bouschet et Hilbert, dans un Gesamtkunstwerk sans égal et profondément transformateur. Il n’est plus question ici de choisir un camp, l’idéologie est absente, nous offrant une biopolitique dont la théologie est celle d’un monde inoculé d’entités dont la libération est absolue et inexorable. 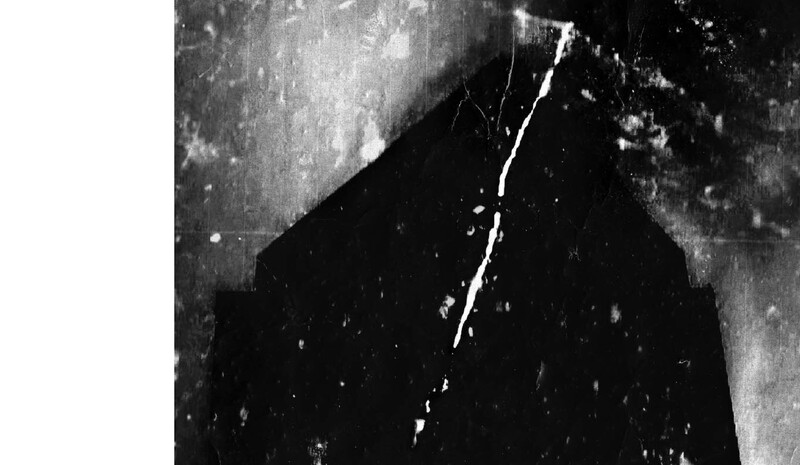 – Peter Grey est écrivain, et cofondateur de Scarlet Imprint. Il est l’auteur de The Red Goddess, ouvrage de référence sur la déesse de l’Apocalypse. Son Apocalyptic Witchcraft a été cité comme le livre le plus important de l’ère moderne sur la sorcellerie, la situant dans le contexte mythico-poétique du Sabbat et dans un environnement subissant le bouleversementclimatique et écologique. Son dernier ouvrage, Lucifer: Princeps, est une étude des origines de la figure de Lucifer. Il a écrit d’autres essais dans Howlings, Devoted, At the Crossroads et XVI. Son travail a également été publié dans plusieurs petites revues et collections, telles que The Fenris Wolf, ainsi qu’en ligne. Founded by Enghien-les-Bains local council, the Centre des Arts is a multidisciplinary artistic space with a focus on digital creativity, and a platform where the arts and technology meet. This initiative has replenished the town’s creative reserves, giving artists the space needed to experiment and practice and bring to life the next chapter in the history of art. For the latest season of creative ventures, the Centre des Arts joined forces with Kevin Muhlen, director of the Luxembourg Casino – Contemporary Art Forum, to collaborate on a selection of works that explore the concept of worlds within worlds. In these physical, mental, fictional and virtual spaces deprived of natural light, human beings are brought face-to-face with their deepest fears, entirely immersed in a new world populated by spirits and legend. 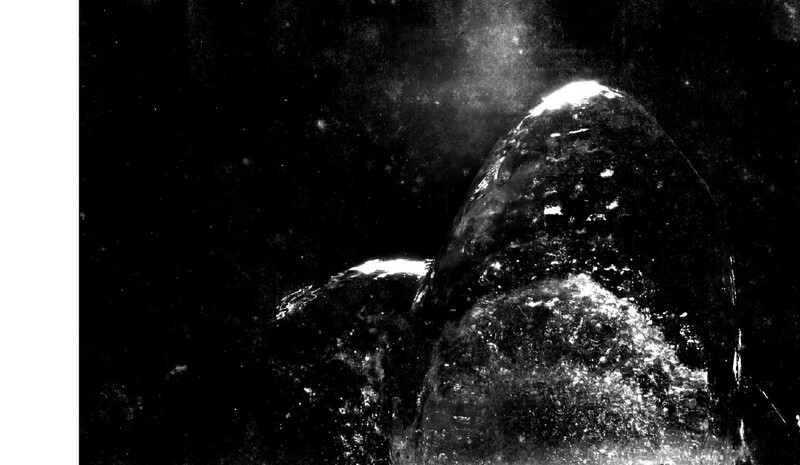 Gast Bouschet & Nadine Hilbert have been working together since the nineties, using still photography and video to examine the principles of power and structure. Their recent work compares and contrasts the raw forces of nature with the (dys)functional properties of contemporary society. From deep within the vortex of the Anthropocene, Bouschet and Hilbert highlight the deeply-embedded and archaic relationships between geological forces and humankind. 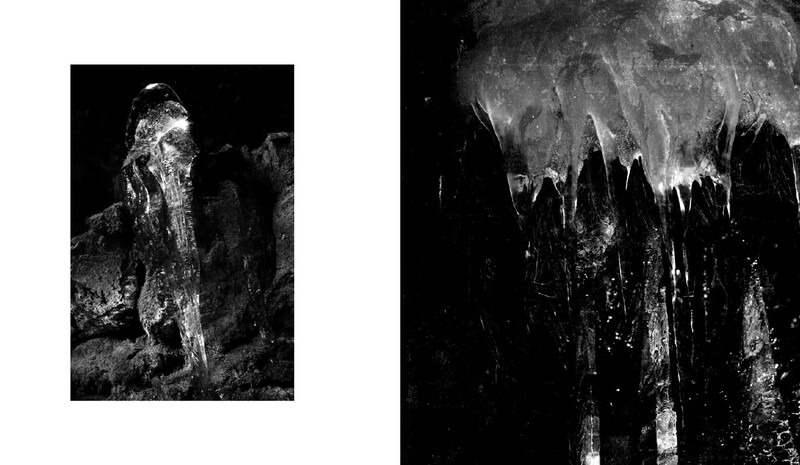 Cocytus Defrosted offers up a glimpse of a lake thawing – the lake once said to hold Lucifer captive in the frozen underbelly of Hell. 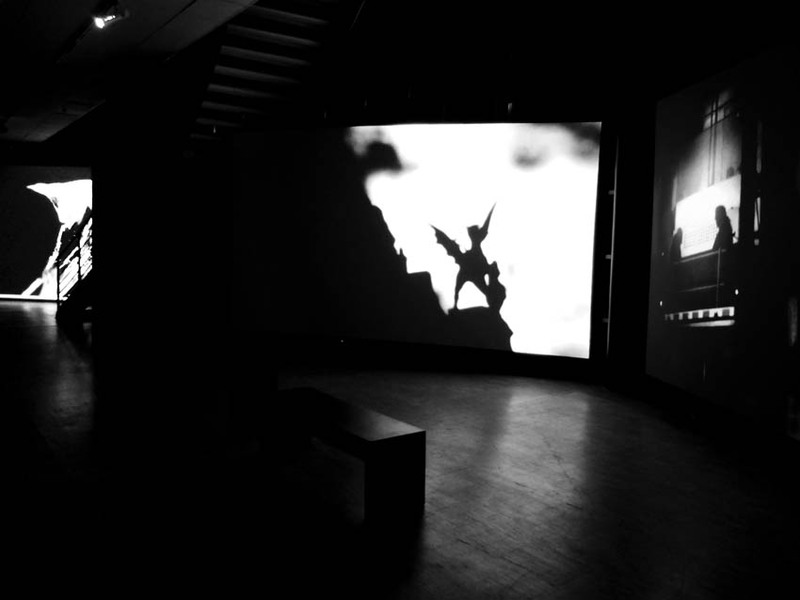 The installation is a visual allegory, showing the gradual freeing of a “demon” released into a dissolving world. Architect and artist Laura Mannelli reflects on the space that exists at the crossroads between physical and virtual realities. Her Promises of Monsters project and virtual-reality Near Dante Experience prologue embark on a Dantesque meandering through deep, dark worlds where light serves as the sole guide and vehicle. This physical, spiritual and symbolic light calls into question the discrepancies between our visual perception and our ability to truly see. As above so below is an axiom taken directly from Antiquity’s alchemists and hermits, in which that above is mirrored below, the skies mirroring the earth, paradise mirroring hell, phenomena co-existing where semantic, scientific and cultural tradition would see them opposed. The concept takes the shape of a two-fold movement, a kind of symmetry, where that which is plunged to great depths is simultaneously elevated into the ether. This opens dialogue between these artists’ works and those from other authors such as Benjamin Bianciotto, Agnès de Cayeux, Peter Grey, Didier Ottaviani and Catherine Vidal, a continuation of their visual story-telling that provides a new vision of our world via deafening obscurity and blinding light. Des paysages à la beauté irréelle, une musique envoûtante, des mouvements happant le corps et l’esprit, une déclamation intérieure sur la fin, la disparition et la renaissance, et puis une prophétie qui vient briser les structures établies : « De cet écroulement et de cet envol naît un monde nouveau ». La scène d’ouverture du film Herz aus glas (1976) de Werner Herzog entre en résonnance immédiate avec les œuvres de Gast Bouschet & Nadine Hilbert et Laura Mannelli. Ils semblent poursuivre ensemble un but commun fait d’effondrement, de recommencement et d’anticipation de la répétition. Lors du tournage de son Cœur de verre, le réalisateur allemand décide de pratiquer l’hypnose sur ses acteurs afin de transmettre à l’écran une distance et une singularité perturbantes. Or, la dimension hypnotique traverse également les œuvres des deux propositions sous une forme duale : les êtres déambulent, dans Near Dante Experience de Laura Mannelli comme dans Cocytus Defrosted de Gast Bouschet & Nadine Hilbert, dans un état de semi-conscience. Ils agissent sous l’effet d’un contrôle extérieur invisible, d’une manière mécanisée et sans but ; inversement, l’état d’hypnose quasi extatique provoqué par les images, par le voyage, par la sensation de boucle permet d’entrapercevoir une ouverture sur un Ailleurs possible, et favorise une mise en condition magique vers d’autres mondes. I. G. I. N. E. E. C. I.
Un dédoublement similaire se répercute dans la rotation que les artistes luxembourgeois initient. Virgile est le guide du poète dans L’Enfer (1307-21) de Dante Alighieri. Il est la lueur bienfaitrice qui nous montre la voie dans Near Dante Experience. Il est le veilleur de nuit silencieux qui nous impose la vue du démembrement social et psychique dans Cocytus Defrosted. On lui attribue le célèbre palindrome (lecture aller-retour) : « In girum imus nocte ecce et consumimur igni » (« Nous tournoyons dans la nuit et nous voilà consumés par le feu ») qui signerait un sous-titre évocateur aux deux expositions tout en révélant le caractère d’aliénation à l’origine des œuvres présentées. Le lien s’étend avec le film (quasi) éponyme In girum imus nocte et consumimur igni (1981) de Guy Debord, de ses attaques féroces contre les dérives de la société capitaliste occidentale à la virulence de son noir et blanc. Par cette construction circulaire propre à l’Enfer dantesque, les artistes semblent nous dire que nous sommes à un tournant de notre histoire, proches de l’apocalypse terminale, de la grande révélation. Un autre tournant, encore ; le même sûrement. Nous avons l’étrange sensation, vertigineuse, que toutes les époques se ressemblent, craignent les excroissances monstrueuses du progrès, assistent aux destructions multiples, s’inquiètent pour la surpopulation ou la mort de l’environnement immédiat. Nous serions tentés dès lors de répéter les mots vétérotestamentaires : « Ce qui fut sera. Ce qui s’est fait se refera. Et il n’y a rien de nouveau sous le soleil » (Ecclésiaste I, 9). Sauf que c’est le soleil lui-même qui a changé : soleil noir nervalien, à la mélancolie désespérée ? Soleil de Satan bernanosien inquiétant et tragique pour l’homme ? Soleil honni de vampires modernes qui cherchent l’immortalité par la réincarnation, le prolongement au-delà de la mort ? Nous reviennent à l’esprit la chauve-souris sublime sculptée par la lumière dans Cocytus Defrosted, les messages cryptés, ondes et lumières mêlées, des neuf Meta Wanderers dans The Promises of Monsters comme autant de puissantes métaphores. Le soleil suit finalement une courbe le ramenant à ses origines, ellipse géocentrique : d’abord divinité adulée ; puis simple boule de feu circonscrite par l’analyse scientifique ; il revient à son statut d’Être supérieur par la vénération païenne et son rôle dans la destruction finale (annonce du désastre écologique en marche). Il accompagne sous ces différentes incarnations les deux projets. Nous le retrouvons en éclipses symboliques dans Cocytus Defrosted, en quête ultime, Béatrice adorée, dans Near Dante Experience. 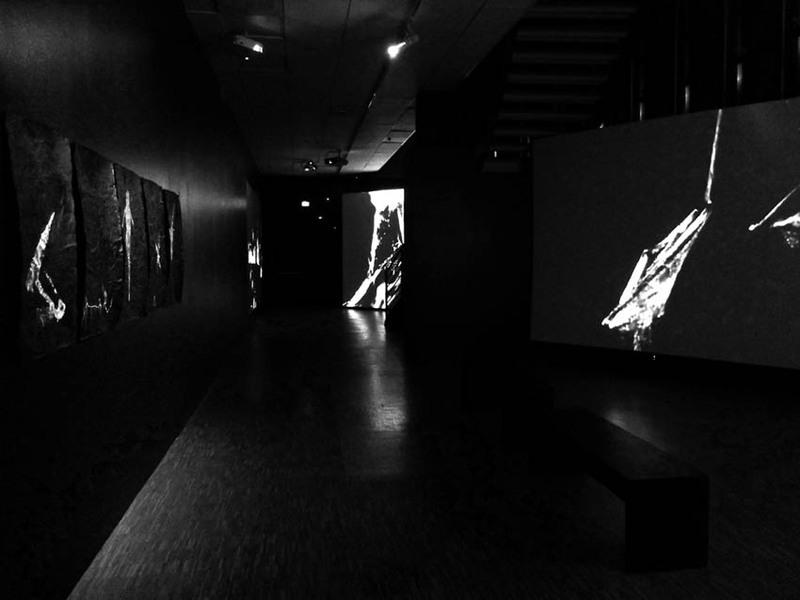 L’omniprésence de l’antagonisme noir et blanc, obscurité et lumière, enténèbrement et illumination qui parcourent les pièces exposées revêt le second aspect de l’effet miroir, symétrique, annoncé. Les artistes ont transformé les cercles infernaux de Dante (portes tournantes sinistres ; ronde d’âmes errantes) en spirales (possiblement ascendantes), ont muté le disque en sphère. Ils en jouent la musique, recréent la communication espérée par Andreï Tarkovski entre des œuvres considérées comme de petits mondes indépendants et interagissant dans un ensemble plus grand. La particularité de la boule est de favoriser l’échange entre le haut et le bas – as above so below – et de remettre en perspective des valeurs que nous pensions établies. « Grâce au mouvement giratoire de la sphère, le céleste se transforme en terrestre et inversement, d’où résulte cette vérité que les dieux peuvent devenir hommes et les hommes, à leur tour, dieux…. »1 affirme Thomas Mann. Ce que les trois créateurs font subir à l’espace, le temps n’y échappe pas : ils procèdent à un écrasement des temporalités, à une rotation du temps. Gast Bouschet & Nadine Hilbert fusionnent le paléolithique au contemporain ; Laura Mannelli interconnecte la mythologie au futur. À l’aube d’un nouveau matin, ces magiciens ont élu l’Enfer, les enfers, comme mine d’exploitation à la recherche d’une lueur emprisonnée. À quoi ressemble l’Enfer ? La question a préoccupé l’ensemble des civilisations humaines depuis leurs origines. Les réflexions menées ici perpétuent cette longue lignée de traditions ancestrales. Pour Gast Bouschet & Nadine Hilbert, l’Enfer endosse une forme contemporaine dans la continuité des pensées existentialistes : la bouche du métro engloutissant les âmes, les ascenseurs plongeant vers le cœur de la Terre, les centres imposants de la finance internationale littéralement gardés par des dragons effrayants signalent une société malade, structurellement infernale. Mais c’est le dégel du Cocyte, le lac glacé qui retient Lucifer prisonnier, qui alerte le plus directement sur le désastre en cours. Les fontes impossibles à endiguer, les mutations catastrophiques, les disparitions effrayantes affirment la menace d’une fin apocalyptique amorcée. Chez Laura Mannelli, la rencontre avec Lucifer se déroule dans un décor baigné d’une lumière éblouissante. Le Prince de ce Monde demeure à distance, géant terrible mais étrangement maîtrisé dans son costume virtuel. Surtout il ouvre à la remontée vers le blanc rassurant et libérateur. Ailleurs, on le voit tomber comme l’étoile du Matin, se confondant avec le Christ, mutant en Vénus fantasmatique vecteur d’élévation. De nouveau, les oppositions se rejoignent : Lucifer incarne Satan, destructeur et colérique – voire le satan de l’Ancien Testament accusateur et tentateur –, mais il joue aussi le rôle du porteur de lumière soutenant l’homme dans son statut de créateur (héritier du compagnon diabolique romantique et symboliste). La figure du Diable, détachée de toute référence religieuse (chrétienne) facilite la manipulation tout en conservant son fort degré de référentialité et sa reconnaissance immédiate – dans l’inconscient collectif comme dans l’ancrage historique qu’il désigne, y compris au-delà du champ artistique. Les artistes renvoient en effet, à travers la libération future d’un Lucifer régnant en Enfer, à une relecture totale de notre rapport au monde. Le traitement que chacun propose dans l’exploration et l’exploitation de la cavité, caverne ou cave apparaît comme un élément central de la relation à l’extérieur, à la surface, à la vie terrestre. La caverne est le lieu où naissent conjointement l’art et la magie ; elle est la jointure du dedans et du dehors, de l’ici et de l’Ailleurs. Or elle est également le siège de l’allégorie platonicienne autour de l’illusion, de la tromperie, de l’accès au monde supérieur des Idées. Les trois ont choisi de renverser complètement cette approche théorique. Le caché, le souterrain devient le centre d’un nouveau monde dans lequel la fiction, l’apparence, l’obscurité apportent la vérité et favorisent l’accès au divin. Le feu et l’ombre remplacent le soleil ; le néon et la lumière polarisée des écrans apportent un éclairage différent sur des objets qui tendent à la dématérialisation. « Un homme sensé se rappellera que les yeux peuvent être troublés de deux manières et par deux causes opposées : par le passage de la lumière à l’obscurité, et par celui de l’obscurité à la lumière ; (…) il en est de même pour l’âme »2. Les contrastes affirmés du noir et du blanc favorisent ce dépassement du monde visible par l’irréalité qu’ils insinuent ; mais, plus loin, ils entrainent l’âme vers un réagencement de ses visées. Lorsque Laura Mannelli associe la cavité conique du poème de Dante Alighieri à des creux découverts sur l’astéroïde Beatrix 83 et au fond de l’œil – instrument de la vision physique –, elle nous guide sur le chemin du troisième œil. Cet œil interne, le siège de la sagesse et de la connaissance extra-sensorielle, se devine dans le travail de Gast Bouschet & Nadine Hilbert par le traitement du flou, de l’altération des éléments (pluie, gouttes), des obliques perturbantes. Les trois maîtres du désordre se rejoignent sur ce trouble visuel : le duo d’artistes intercède pour nous montrer ce que nous ne comprenons pas et qui nous constitue – l’intérieur de l’homme se réfléchit dans les profondeurs terrestres ; l’architecte de la psyché envahit elle aussi de vapeurs nébuleuses ses paysages, fait parler la lumière, joue le message, interprète l’inconnu. Cette rencontre du monde et de l’esprit, de l’extériorité et de l’intériorité, ne connaît d’autre terrain plus favorable que l’homme décentré, acteur autant honni que vénéré. 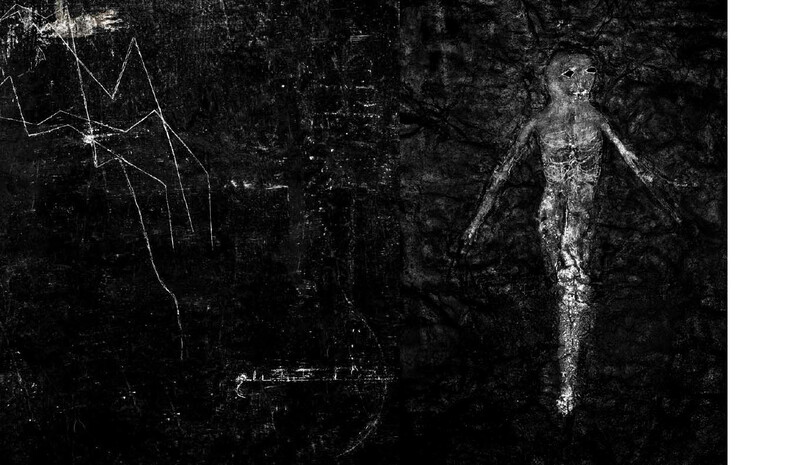 Au détour d’une cavité miraculeuse, nous découvrons dans Near Dante Experience des corps anthropomorphes pris dans la roche. Ces créatures formalisent la pensée de Pierre Teilhard de Chardin qui inscrit la Vie dans une poursuite évolutive de la Matière3. De manière spéculaire, les recherches de Cocytus Defrosted corroborent l’idée d’un corps humain constitué de poussières d’étoiles. La fusion du géologique et du biologique façonne ainsi le trans-/post- humanisme, anticipé par Dante Alighieri, formalisé par Laura Mannelli, projeté par Gast Bouschet & Nadine Hilbert. La dématérialisation à l’œuvre – virtualité ou fonte – rappelle paradoxalement que rien n’échappe à la matière : simples métamorphoses, transmutations alchimiques, décompositions de la lumière ou de l’eau omniprésents. 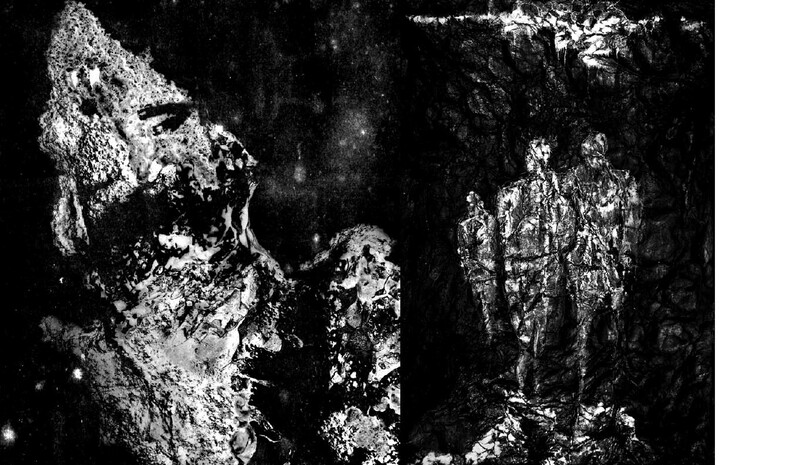 Le monstre ou le cyborg contiennent les mêmes avancées, usent de similaires stratégies ; les corps sonores renvoient la musique à sa dimension physique ; les silhouettes dessinées à l’obsidienne traduisent les archétypes fondateurs. 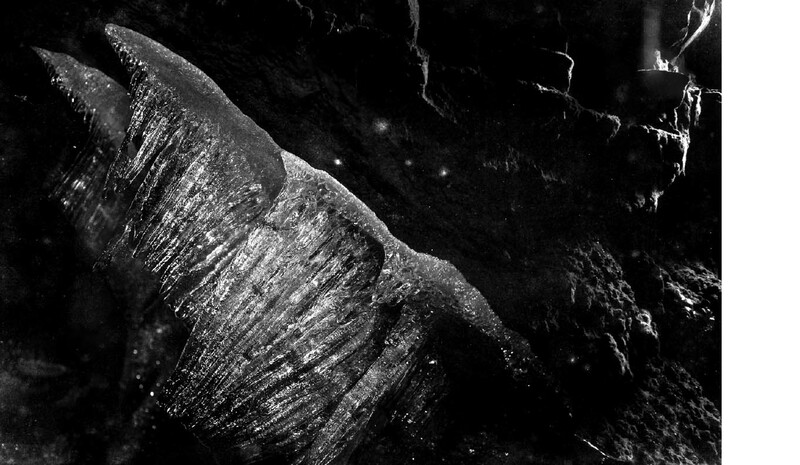 La matière même des peintures (noir d’os, roche volcanique), le noir obsédant et profond, les Pierres noires en lévitation, lient les monolithes des corps noirs cosmiques, de la Ka’aba et de 2001: A Space Odyssey (Stanley Kubrick, 1968), confondent par un effet réflecteur le singe à l’astronaute, le sorcier au scientifique. L’idée sous-jacente à ses transformations constantes que contiennent les œuvres présentées est celle du flux, de l’échange, du mouvement perpétuel qui perturbent les notions de progrès, d’évolution, de temps linéaire ou d’espace contraint. Tout bouge, tout roule, tout bouleverse nos codes établis, nos définitions et nos certitudes. La glace se vaporise, le feu se fixe, l’inexorable s’immobilise ; les tuyaux dissimulent les fluides, les câbles camouflent la communication, on apprend à lire l’immatériel. Le fil qu’ils tendent de l’un à l’autre trace une continuité de l’existence : de la Terre Mère au corps d’un côté ; du corps à sa dilution virtuelle de l’autre. Mais un renversement des propositions est encore possible, fidèle à la pensée d’une identité du haut et du bas : Laura Mannelli travaille à la reconquête du corps ; Gast Bouschet & Nadine Hilbert a une certaine forme de sa disparition. La place de l’agent unificateur revient à l’art, se scindant en moyen et en fin du voyage initié par nos trois explorateurs. L’homme sera sauvé par la création, seul vaisseau à même de lui faire traverser l’Enfer immaculé, de l’embarquer vers l’illumination (blanche ou noire), de l’élever au rang d’être digne de son passé et de son futur. Seulement, les propositions ne visent pas à une évasion sous forme d’échappatoire. Bien au contraire, nous sommes conviés à une prise de conscience par l’action, un affrontement du réel. Il n’est pas question de désengagement mais d’inclusion. Les actes esthétiques sont des incitations révolutionnaires, des déclarations politiques pour un retour à une sorcellerie active (Gast Bouschet & Nadine Hilbert), à une remise en perspective de nos évolutions, à la quête d’une amélioration (Laura Mannelli). 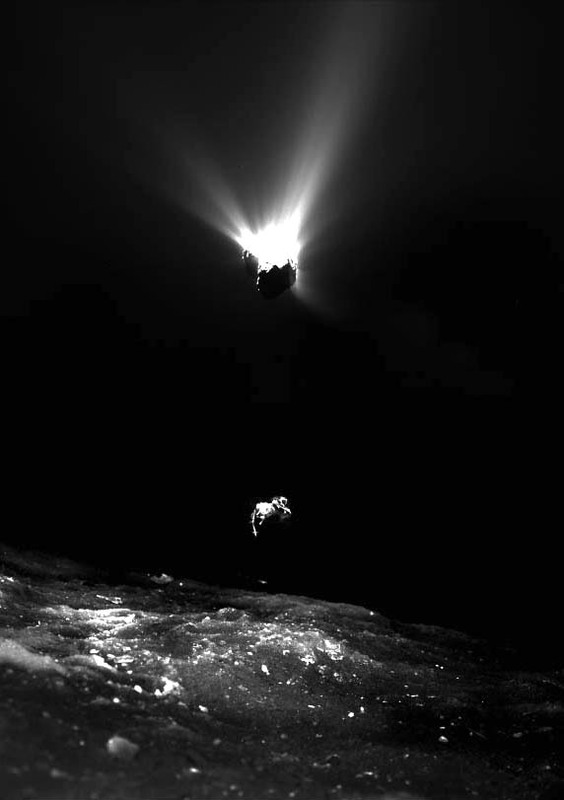 Ce refus des limites s’affirme dans la manière d’entremêler les images jusqu’à nous perdre pour mieux nous affranchir – sous l’eau, dans un réseau, sur Terre, dans l’espace ? –, dans leur capacité aussi à transcender les frontières du corps pour ouvrir la voie à des effets de rupture, une extrapolation glorieuse de l’Esprit. En ce sens, les trois artistes possèdent un cœur de verre, celui qui unit la science et la nature, la mutation physique et l’imaginaire libérateur. Ce cœur de verre illustre la volonté double de réincorporation du géologique et d’évolution génétique. Il est forcément rouge rubis, mélange de noir et de blanc. Benjamin Bianciotto, historien de l’art, critique et commissaire d’exposition indépendant. Il a écrit sa thèse de doctorat sous la direction de Philippe Dagen à l’Université Paris 1 Panthéon-Sorbonne sur les Figures de Satan dans l’art contemporain. Ethereally beautiful landscapes, entrancing music, heart-stopping movements that capture the imagination, an inner cry on the finiteness of life, disappearance and rebirth, and a prophecy that rattles the status quo to its very core: “From this collapse and momentum, a new world is born”. The opening scene of Werner Herzog’s Heart of Glass (1976) instinctively echoes the works by Gast Bouschet & Nadine Hilbert and Laura Mannelli, with the pieces merging in a collective commentary on the nature of collapse, new beginnings and anticipated repetition. In his Heart of Glass, the German director hypnotised his actors in order to convey a sense of unsettling on-screen distance and a disturbing brand of uniqueness. 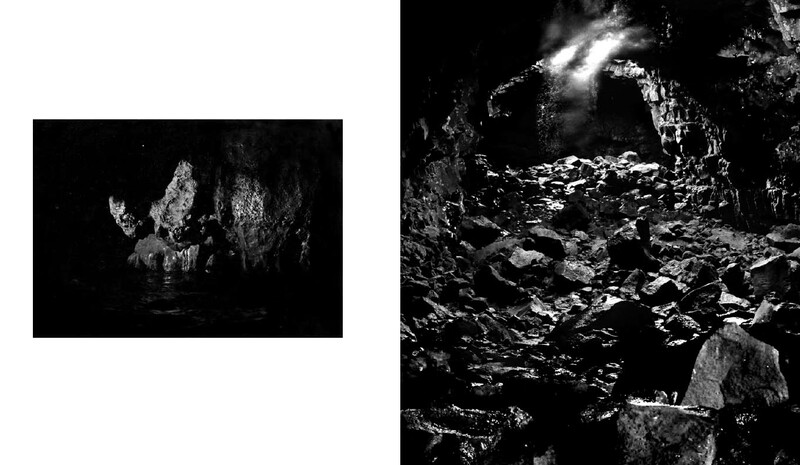 This hypnotic theme also underpins the two proposed works in a dual-faceted experience: characters seem to meander in a daze in Near Dante Experience by Laura Mannelli and Gérard Hourbette1, close relatives of the semiconscious wanderers in Cocytus Defrosted by Gast Bouschet & Nadine Hilbert. Mechanical and seemingly aimless, they appear to be guided by an invisible, external hand, emerging in contrast to the almost ecstatic state of hypnosis triggered by the images, by the concept of travel, by the feeling of a never-ending cycle or loop that offers up a glimpse of another potential place and time, a magical invitation to experience other worlds. A similar splitting effect is reiterated in the pieces offered up by our Luxembourgish artists. Virgil serves as the poet’s guide in Dante’s Inferno (1307-21), and is an enlightening benefactor in Near Dante Experience. He is the silent night watchman who sheds light on social and psychological breakdown in Cocytus Defrosted. He is said to be the brain behind the famous palindrome “In girum imus nocte ecce et consumimur igni” (“We whirl through the night and now are consumed by fire”), an evocative tag line for the two exhibitions that hints at the theme of alienation simmering below the surface of the works on display. The link continues with the (almost) eponymous film In girum imus nocte et consumimur igni (1981) by Guy Debord, from the director’s ferocious lambasting of the destruction wreaked by western capitalism to the harshness of the black and white. Through this Inferno-inspired circular structure, the artists highlight our position at a turning point in history: the final apocalypse is nigh, and a great revelation on the horizon. Yet another turning point; perhaps the same as it ever was. We experience that strange, dizzying sensation: that all times and eras are alike, that humankind has always feared the monstrous, haemorrhaging growth of all-destroying progress, has always feared overpopulation and the death of our planet. The following words from the Old Testament spring to mind: “What has been will be again, what has been done will be done again; there is nothing new under the sun” (Ecclesiastes 1:9). Except the sun itself has changed: a macabre, black sun, brimming with a desolate melancholy. A satanic sun, a disquieting omen of tragedy for all humankind. The sun that blinds modern vampires in their quest for immortality through reincarnation, a life beyond death. We are reminded of the magnificent bat sculpted in light from Cocytus Defrosted, cryptic messages, a tangled maze of shadow and light, of the nine Meta Wanderers in The Promises of Monsters, all powerful metaphors. Ultimately, the sun follows the curved path that leads it back to its eginnings, a geocentric ellipsis, from revered divinity to nothing more than a ball of flames delineated by scientific observation. Through pagan adoration, it is returned to its status as a higher entity, the role it plays in the ultimate destruction consolidated (acknowledgement of the impending ecological disaster). In its different incarnations, the sun shines through in both projects. We catch glimpses of it in symbolic eclipses in Cocytus Defrosted, and see it as the ultimate destination, an adored deity, in Near Dante Experience. The omnipresent contrast between the black and white, darkness and light, shadows and illumination found throughout the pieces forms the second symmetrical mirror effect. 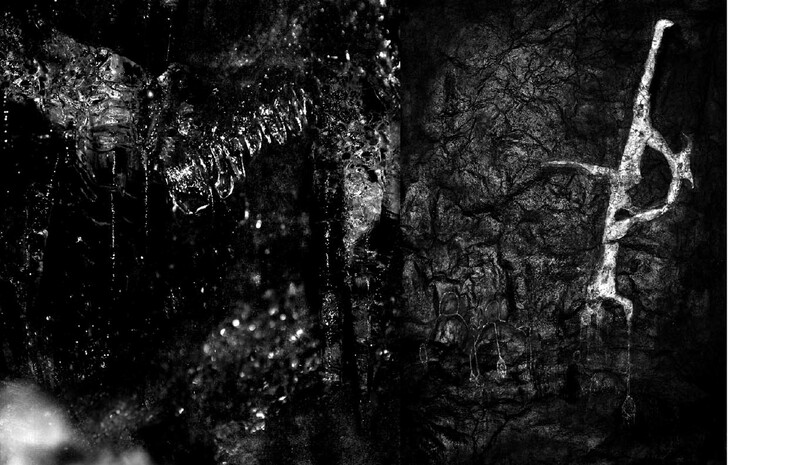 The artists have transformed Dante’s circles of hell (sinister revolving doors, circles of wandering souls) into spirals (possibly ascending), reworking discs into spheres.The music, too, is used as Andreï Tarkovski had hoped, fording the void between works perceived as small, self-contained worlds, interacting within a greater universe. Circles are unique in their ability to stimulate exchange between both top and bottom – as above so below – and to reshape the values we believe to be unmoveable. “Through the rotating motion of the sphere, the heavenly becomes earthly and inversely, hence the truth that gods become men and men become gods”2 in the words of Thomas Mann. The three artists subject time to the same process they use on space: squashing the temporal, shifting time on its axis. 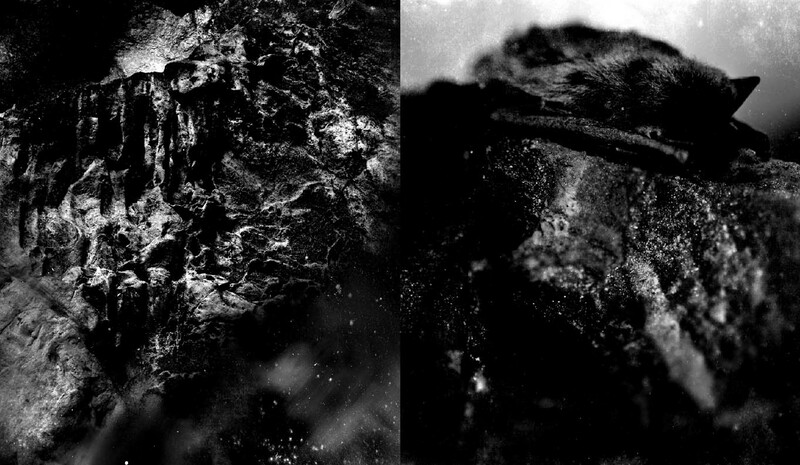 Gast Bouschet & Nadine Hilbert fuse the palaeolithic and the contemporary, while Laura Mannelli intertwines mythology and future. As a new world dawns, these magicians have chosen inferno, the underworld, all circles of hell, as a mine from which trapped light may be extracted. What does hell look like? This question has confounded all human civilisations since the dawning of time itself. The ideas explored here perpetuate this longstanding ancestral tradition. For Gast Bouschet & Nadine Hilbert, hell takes on a contemporary form in a continuation of the existentialist school of thought: a Parisian metro station that gobbles up lost souls, lifts that plunge human bodies deep into the belly of the Earth, formidable international financial centres guarded by terrifying dragons, the markers of a sick society enclosed within hellish structures and architectures. Yet it is the thawing of the Cocytus, the frozen prison that encloses Dante’s Satan, that best encapsulates the disaster currently at hand. The ice melt here is impossible to restrain, catastrophic mutations, terrifying disappearances, all hint at the threat of apocalypse that hovers somewhere in the near distance. 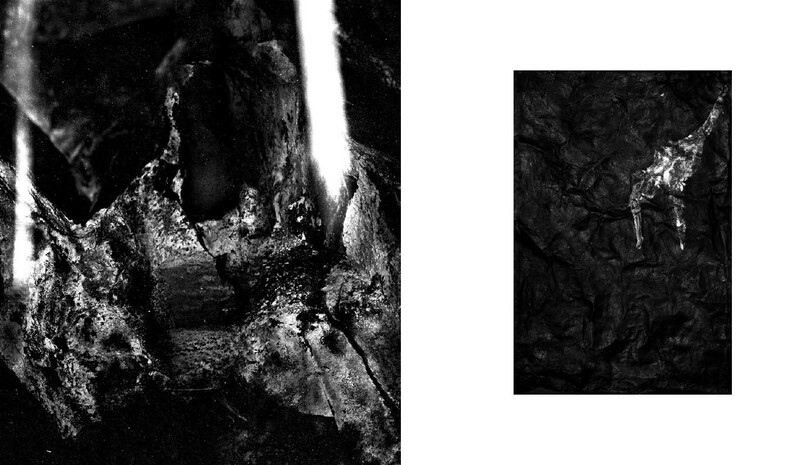 Laura Mannelli, meanwhile, introduces us to Lucifer bathed in dazzling light. The Prince of Shadows remains beyond reach, a blood-curdling giant strangely contained within his virtual shell. He struggles to rise up towards the reassuring, liberating source of white light, where elsewhere we watch him fall like the morning star, interchangeable with Christ, mutating into a phantasmatic Venus, a spiral towards elevation. Once again, opposition and contrast bleed into one another: Lucifer embodies Satan, destructive and wrathful, the devil of the Old Testament with his accusations and attempts at temptation. Yet he also bears the light that gives Man his powers as a creator, a direct descendant of Man as a diabolical, romantic lover.Taken out of his religious (Christian) context, the Devil enables manipulation while retaining a powerfully referencerich and instant recognisability. he Devil instinctively speaks to our collective subconscious and evokes his historical context, both in and outside of art. By conjuring up images of a Lucifer soon to be released from his infernal kingdom, the artists inspire us to rethink our entire perception of the world we inhabit. Cavities, caverns and caves are explored and treated as central components in the concept of relationships between the internal and the external, the surface, ground level, earthly existence. Caves are where art and magic are born, the veil between the inside and the outside, the present moment and the Otherworld. 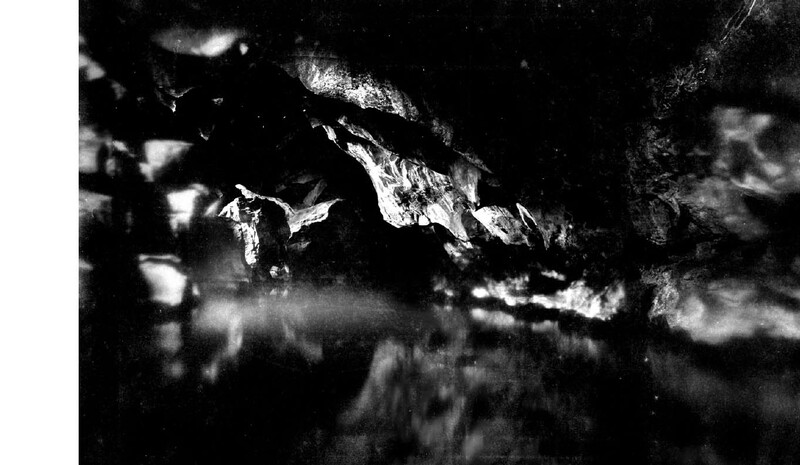 Caves also embody the Platonic allegory, the idea of illusion and tricks of the mind, access to a higher state of being and the realm of ideas. The three artists chose to overhaul this theoretical approach, turning the underground into the centre of a bright new world in which fiction, appearance and obscurity are synonymous with truth and contact with the divine. Fire and shadow replace the sun, the polarised neon lighting of the screens shedding new light on the dematerialised. “A sensible man will remember that the eyes may be confused in two ways – by a change from light to darkness or from darkness to light […] and he will recognize that the same thing happens to the soul.”3. The high-impact contrast between black and white enhances this sense of moving beyond the visible world through its insinuated otherworldliness, yet later works to refocus our attentions. 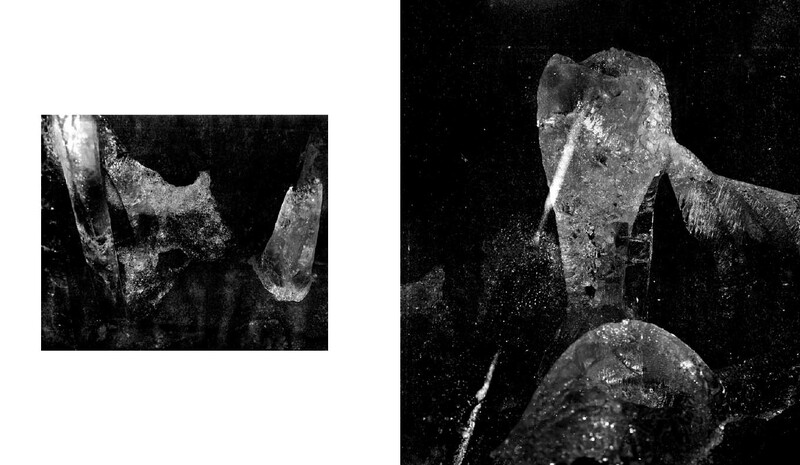 When Laura Mannelli links the conical cavity explored in Dante Alighieri’s poem to the cavities observed in the Beatrix 83 asteroid and behind the human eyes – our instrument of visual perception – she guides us towards looking deeper into the third eye. This internal eye, home to wisdom and extra-sensory knowledge, is hinted at in the work by Gast Bouschet & Nadine Hilbert, who play with blurriness, distorting the elements (rain, drops) and unsettling obliques. 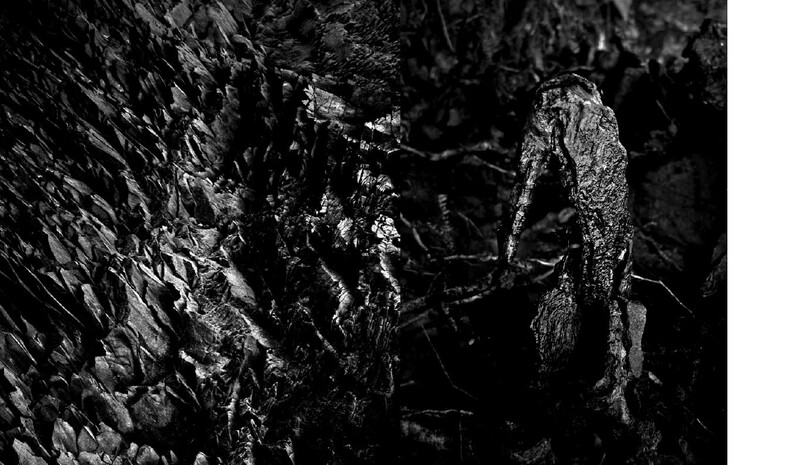 These three masters of chaos are aligned in their use of visual disruption: Gast Bouschet & Nadine Hilbert intervene to show us the incomprehensible matter that nevertheless constitutes our very being, the essence of humankind’s inner world reflected in the depths of the earth, while Laura Mannelli serves as an architect of the psyche, painting her landscapes in nebulous mist, lending voice to the light, showing us the way, translating the unknown. This meeting of mind and the outside world, the internal and the external, finds its ultimate expression in an off-kilter humankind, as reviled as it is revered. 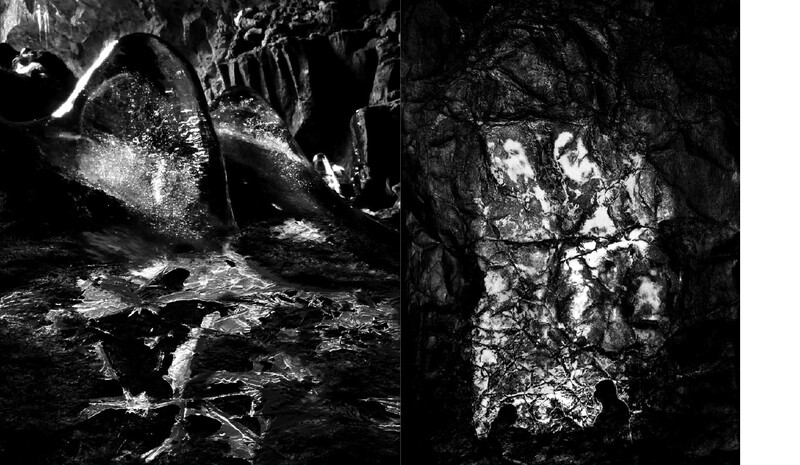 Deep inside a miraculous cavern, Near Dante Experience showcases anthropomorphic bodies imprisoned in rock. These creatures made of stone encapsulate Pierre Teilhard de Chardin’s theory in which Life is a progressive prolongation of Matter4. 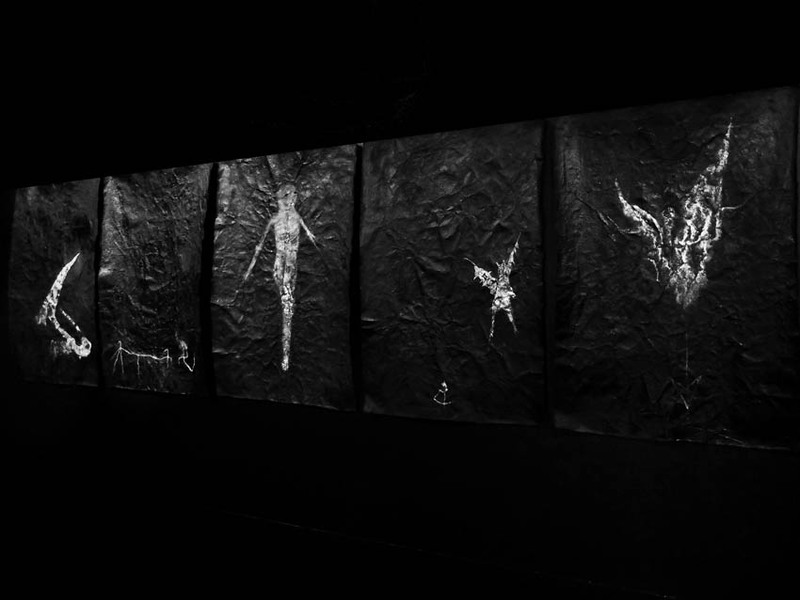 The themes underpinning Cocytus Defrosted explore this concept of the human body made from stardust. The concept of geology and biology fusing together to form a kind of trans- and post-humanism was developed by Dante Alighieri, consolidated by Laura Mannelli and expressed by Gast Bouschet & Nadine Hilbert. Dematerialisation, whether through virtual reality or a melting away, is a paradoxical reminder that nothing escapes the laws of matter, whether simple metamorphosis, alchemical transmutation, or the decomposition of light and water. 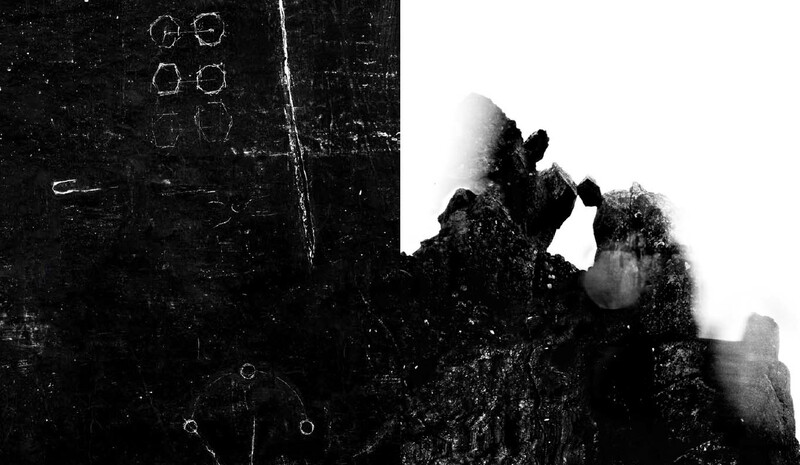 Monsters and cyborgs embody the same progress and use similar strategies, sounding devices lend music its physical dimension, the silhouettes and shadows that dance over the rock lead back to our founding archetypes. 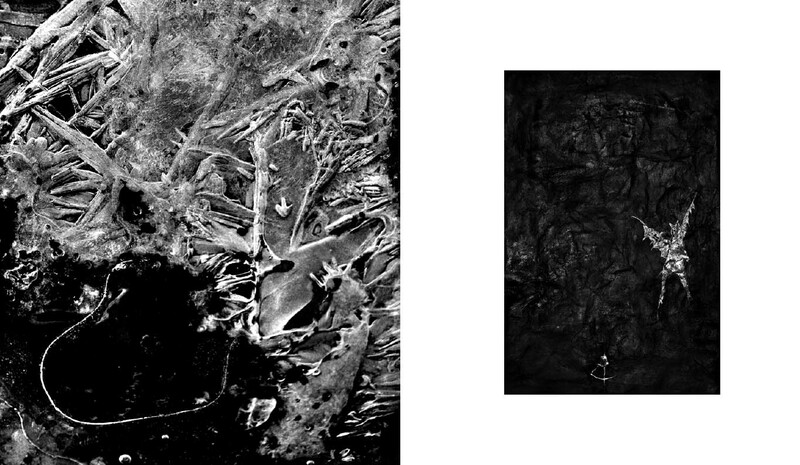 The medium used in painting (bone char, volcanic rock), the deep, hypnotic black and the levitating Black Stones tie together the ideas of black monoliths from outer space, the Kaaba and 2001: A Space Odyssey (Stanley Kubrick, 1968), and through reflection, bring together monkey and astronaut, sorcerer and scientist. The implicit theme contained within the constant transformations showcased in these works is that of flow, exchange, perpetual movement that disturbs progress, evolution, linear time and the boundaries of space. Everything moves, disrupting our established codes, definitions and certainties. Ice melts into steam, fire flickers to a standstill, the relentless slows to a halt. Pipelines solidify liquid, wires break down communication, the immaterial can be read. The common vector that binds them stretches out in a continuation of existence, from Mother Earth to the body at one end, and from the body to its virtual dilution at the other. Yet it may still be possible to reverse the inevitable, in line with the concept of identity as being formed of an upper and lower part. 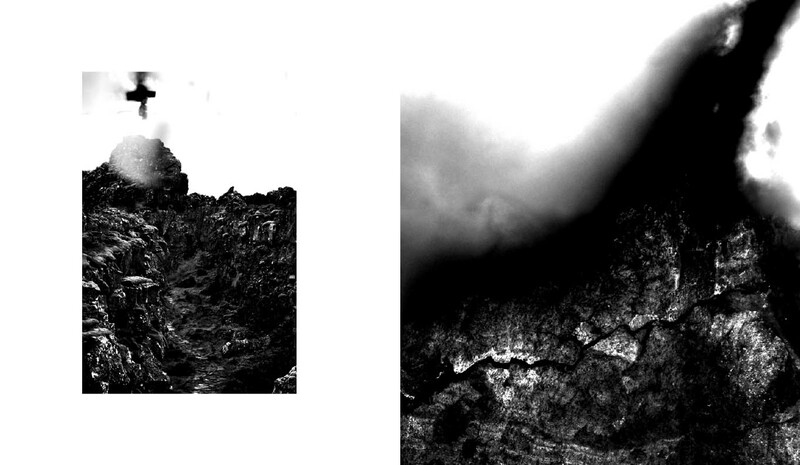 Laura Mannelli examines the reconquering of the body, while Gast Bouschet & Nadine Hilbert explore its disappearance. Art is tasked with unifying, serving as both the vehicle and destination for the journey embarked upon by our three explorers. Humanity shall find salvation through art and creativity, the only vessel capable of transporting humankind through immaculate Hell, leading us towards the light (whether white or black), elevating us to a position worthy of both our past and future. Yet the works on display do not take us on a journey for the sake of mere escapism. To the contrary, we are instead invited to take action by confronting reality. Inclusion, rather than disengagement, is the name of the game. Aesthetic action is used as incitement to revolution, political declarations for a return to the active practice of sorcery (Gast Bouschet & Nadine Hilbert) and a call to rethink how we move forward along the path to improvement (Laura Mannelli). 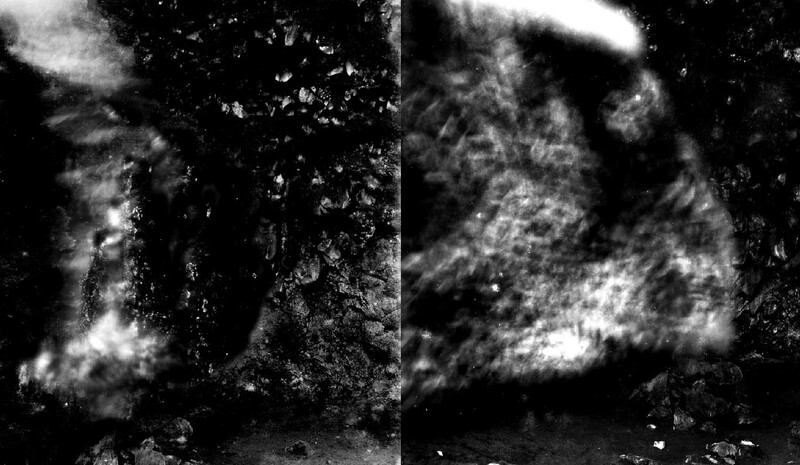 This rejection of the notion of boundariesand limits is expressed in how the images collide, losing us along the way and in doing so encouraging us to break free – under water, within networks, on Earth, and perhaps even in space – thanks to their ability to transcend the frontiers of the mind, rupturing with the known and leading to a glorious extrapolation of the Spirit. In this sense, all three artists share a heart of glass, enclosing both science and nature, physical mutation and liberating imagination. This heart of glass is an illustration of their twofold aim, a desire to reincorporate the geological and encourage genetic change. Ruby red, and where black and white converge. – Benjamin Bianciotto, art historian, art critic and independent curator. He wrote his doctoral thesis supervised by Philippe Dagen at the University Paris 1 Panthéon-Sorbonne, about Satan’s Figures in the contemporary art. As Above So Below, sur la terre, comme au ciel, comme un mouvement perpétuel qui va de l’un à l’autre dans une quête ontologique, un maelstrom d’essence et de sens qui nous emporte dans un « entre deux», illusoire ? Se rapprocher d’un tout, le définir jusqu’à se perdre quelque part entre les deux. Je l’imagine dans une dimension cosmique qui serait véhiculé par la lumière. Cette lumière qui me fait comprendre le monde qui m’entoure. Pour m’emporter dans un corpus de visions parfois imperceptibles, du moins par ma vue. Un véhicule qui me transporte loin. En dehors de tout. Cherchant un ailleurs, en dehors de tout, en dehors de moi, qui n’est pas moi, mais qui s’en rapproche, provoquant un vertige, comme un abyme inondé d’une lumière si intense, aveuglante qu’elle annihile toute forme d’espace. Je serais en apesanteur. Quelque part… Ce retour à soi, cette frénésie soudaine à questionner l’essence des choses, réveillant des questions essentielles, universelles, a eu lieu dans mon parcours par une voie des plus inattendue : les Réalités Virtuelles. Technologiques, artificielles et non organiques, même pas vivantes. Qu’ont-elles d’humaine ? Critiquées pour leur distance au réel, dont l’enchantement nous couperait de nous-même. J’ai au contraire à travers elles opéré un changement de perspective, de paradigme, une reconquête du corps et de mes sens, par des révélations insoupçonnées sur mon propre ancrage au monde. J’ai toujours été obsédée par mon incapacité totale, en tant qu’architecte, à définir ce qu’est un « espace », ce qu’est l’« espace », jusqu’à en épuiser toutes les tentatives de définitions. Qui par réduction me renvoie à questionner l’essence de tout. L’invisible s’est mêlé au visible. J’ai reconnecté. A n’envisager qu’une seule manière d’être au monde, nous nous coupons d’une compréhension de nous-même. Dans votre travail vous écrivez « la sorcellerie nous permet de nous dépouiller de notre peau humaine et de nous étendre dans l’inconnu ». Je mets cette phrase peut être un peu sorti de son contexte, en résonnance avec le « Trasumanar » de Dante. Au fur et à mesure de son cheminement vers les cieux, il fait disparaître le corps dans un processus de métamorphose, il faut outrepasser l’humain pour pouvoir embrasser la dimension ultime. D’en bas du fin fond de l’abîme au plus près des forces terrestres, qu’en penses-tu ? Quelle est cette puissance qui sommeille ? Quel mouvement nous anime ? Oui, la lumière nous « fait comprendre le monde qui nous entoure ». Le monde jette sa réflexion sur l’esprit et cette réflexion sert de matière première à le penser et le représenter. La vision est le premier moyen de pensée mais il y a plusieurs façons de voir je pense. Tu as raison de souligner que si nous cherchons un « ailleurs », nous devons explorer des territoires qui se situent en dehors de toute définition d’espace (et de temps d’ailleurs). Ce que tu décris comme un abîme inondé « d’une lumière si intense, aveuglante qu’elle annihile toute forme d’espace » me sonne familier et je le sens paradoxalement très proche de la façon comment j’appréhende le « noir » et les mystères de l’univers. L’espace et le temps sont des concepts abstraits qui nous aident pas à saisir le mystère de notre existence cosmique. Oui, « quelle est cette puissance qui sommeille ? Quel mouvement nous anime ?» Ce sont des questions qui se situent en dehors de ce que les sciences sont capables de nous enseigner. Afin de trouver des réponses, forcément subjectives, à ces questions, nous devons nous éloigner du rationalisme et commencer à redécouvrir la force initiale de l’imagination. Il ne s’agit pas de refuser le savoir scientifique mais d’ajouter un élément spéculatif. La science fiction n’est pas le plus mauvais moyen de le faire. Et toute science fiction qui se respecte, ne rejette pas le savoir scientifique mais ajoute quelque chose, un surplus, comme la notion d’univers parallèles qui pourrait servir comme idée, finalement aussi valable que d’autres, pour spéculer d’où vient la vie. La meilleure science fiction semble naître, comme la sagesse de nos ancêtres, du fond de l’abîme. Je pense qu’il importe peu si cet abîme est rempli de lumière aveuglante ou de noirceur profonde, c’est probablement du pareil au même. Ce qui importe, c’est de nous éloigner de la conscience du jour et de commencer à explorer le côté mystérieux de notre existence cosmique. L’art est peut être le meilleur moyen de le faire. Comme tu le sais, j’approche l’existence à partir d’une perspective de sorcier. Ma pratique est fondamentalement chthonienne et se base sur la plongée dans les profondeurs et non pas sur la montée vers les cieux. Ce qui me semble important pourtant à soulever, c’est que parmi tout ce noir que nous véhiculons, notre chemin est illuminé par des glyphes astraux qui nous proviennent de la nuit des temps. Si tu me le permets, je voudrais mettre l’accent sur un aspect que notre époque semble avoir oublié. Tout dans notre environnement est fait pour refléter la lumière et la plupart des gens passent leur existence entière dans une ambiance baignée de lumière froide. En tuant l’obscurité, nous avons fermé le tunnel qui donnait autrefois accès à l’au-delà. J’ai toujours été fasciné par les peintures rupestres. 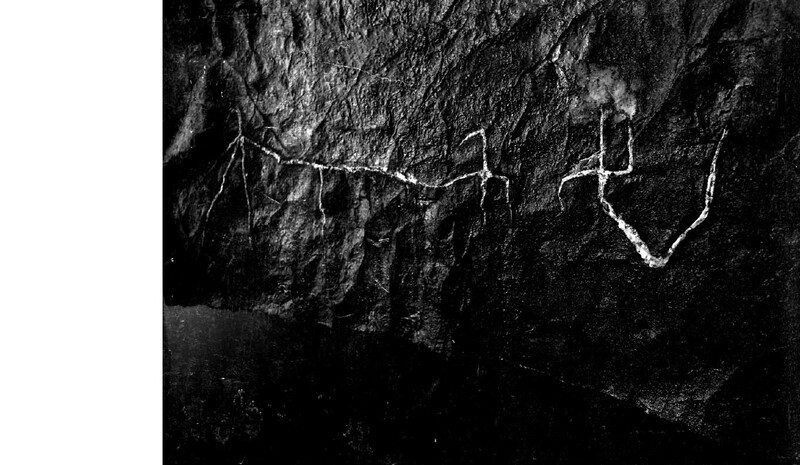 Les artistes du Paléolithique ont rampé dans de profonds espaces souterrains, dans lesquels aucune lumière ne pénétrait, pour réaliser leurs peintures et faire sortir ces créatures mythiques du néant. Afin de comprendre comment de nouveaux modes de conscience prennent naissance, nous devrions peut être nous demander ce qui les a poussé à pénétrer ces territoires dépourvu de lumière naturelle. Il est peut être intéressant de considérer comment notre organe de vision réagit quand l’oeil est privé de lumière. Il faut se rendre compte que nous voyons surtout avec notre cerveau ou notre esprit. L’oeil n’est qu’un tissu organique, c’est pas l’oeil qui voit, mais la personne qui est attaché à l’oeil. Si nous gardons les yeux ouverts dans un endroit totalement sombre, notre vision est abandonnée à elle-même, elle se retire. La privation de lumière agit comme une descente vers une dimension cachée, comme un tunnel qui ouvre sur une nouvelle vision qui est intérieure et souterraine. Ce n’est plus le «soleil ordinaire» qui illumine notre esprit mais le «soleil noir» des mystiques et visionnaires. «La nuit est aussi un soleil» disait Bataille. Le mot « Trasumanar » que Dante a inventé est ambigu et son sens exact controversé. Je ne sais pas s’il exprime le devenir cosmique qui motive notre pratique, notre vision est certes d’outrepasser l’humainmais il n’y a pas de but « ultime » dans notre démarche, plutôt la vision d’un devenir permanent, d’une métamorphose permanente. On vit une époque aux accents très apocalyptiques, apocalyptique dans le sens de sentiment de « fin du monde » plutôt que dans son sens étymologique de « révélation ». Notre époque est souvent nommé l’Anthropocène maintenant, une période géologique qui se définit par l’action que l’être humain a sur l’évolution de la planète. Je me pose la question comment tu positionnes ta pensée et ton art par rapport à cette époque qui cherche à redéfinir les limites de l’humain. Est ce que ton intérêt pour la science-fiction vient d’une remise en question de l’avenir humain ? D’une métaphysique de l’avenir ? J’ai l’impression qu’on ne pose pas assez souvent la question à quoi peut servir l’art. Il me semble essentiel de secouer les choses et de redéfinir son rôle. Pourquoi faire de l’art ? Quel est le but ? Il y a quelques choses qui me fascinent dans ces échangent de « visions » et particulièrement dans votre travail. J’ai pris un peu de temps pour répondre car je suis happée par ces sujets qui m’entrainent dans des expériences de pensées qui m’échappent. M’attirent. J’ai voulu tenter de les saisir. Comprendre cette approche de sorcier. Mais comment m’en approcher moi-même et tenter d’embrasser ce nouveau mode de conscience. Est-ce un processus ? Dois-je fermer les yeux ? M’éloigner certainement de nos lumières artificielles. Ces myriades d’artifices. Est-ce la détermination d’un trajet possible ? Je voulais connaître. Et puis une phrase dans ta réponse à retenue mon attention. Je la reprends car moi-même je fais souvent cette expérience « je garde les yeux ouverts dans un endroit totalement sombre, ma vision est abandonnée à elle-même, elle se retire. La privation de lumière agit comme une descente vers une dimension cachée, comme un tunnel qui ouvre sur une nouvelle vision qui est intérieure et souterraine». Elle me rappelle cette citation de Dante « Lorsque ta vue veut pénétrer trop loin dans les ténèbres, il advient qu’en imaginant tu t’égares ». Que j’aurais volontiers changer pour « Lorsque ta vue veut pénétrer trop loin dans les ténèbres, il advient qu’en t’égarant, tu imagines ». C’est par là, dans cet espace sombre que je vais te rejoindre. Et répondre à ta question. L’imaginaire. « Redécouvrir la force initiale de l’imagination ». Ce mot raisonne à la fois comme quelque chose de familier, d’intime, un complice bienveillant et comme une proscription. Je suis arrivée à l’art presque par « sérendipité ». Un hasard calculé. Dans une pratique professionnelle, l’« architecture », où le « carcan », le « contenant » est à la fois « objet » et objet de pensée. Dans un espace terriblement contraint. Que restait-t-il à l’indétermination, l’incertitude, l’espace négatif. À ces choses impalpables qu’on ressent tous mais qu’on évoque à peine. Ces espaces oubliés, ces mauvais complices, ces hétérotopies. Ces espaces autres. La fiction comme un espace à part entière. Son territoire, notre territoire. Une zone d’autonomie. Un territoire de liberté. Une respiration. Parce qu’il est accessible. Parce qu’il n’a pas besoin de grand-chose. Parce qu’on est libre d’imaginer même si nous sommes limités dans notre savoir. Parce que l’intuition se transforme souvent en vérité. Parce que même le mensonge peut y trouver sa place. Parce que les monstres peuvent aussi promettre. Ma référence à Donna Haraway est avant tout véhiculé par la place qu’elle donne à la fiction. Qui a autant valeur que la philosophie. Elle est nécessaire. Cet intérêt passionné pour la science-fiction, ne sert pas uniquement à développer une sorte de technophilie, mais, au contraire, à explorer des possibles. C’est cette capacité à s’arracher de ses habitudes, de ses endoctrinements, de changer de place et de posture dans un élan vers l’autre. Vers soi. La fiction se raconte, comme un langage universel, comme une tradition orale, une incantation, un comte. Que chacun façonne. Qui se transmet. Et dans cet espace, nos yeux ne sont toujours que des tissus organiques, mais notre vision s’est envolée. Pour citer Donna Haraway, la frontière qui sépare la science-fiction de la réalité sociale n’est qu’illusion d’optique. L’art comme « zone d’autonomie temporaire ». Dans ce contexte je te retourne la question, pour peut-être te demander plus particulièrement comment se conjugue ta pratique de sorcier dans ce contexte si particulier ? Si je voulais m’en approcher, que mon conseillerais tu ? En parlant d’illusion optique. Ce que tu décris m’intéresse tout particulièrement : « Il est peut être intéressant de considérer comment notre organe de vision réagit quand l’oeil est privé de lumière. Il faut se rendre compte que nous voyons surtout avec notre cerveau ou notre esprit. L’oeil n’est qu’un tissu organique, c’est pas l’oeil qui voit, mais la personne qui est attaché à l’oeil. ». Une des particularités qui m’a tout de suite fascinée dans la Divine Comédie c’est son architecture globale. Quelle fut ma surprise de lire que l’architecture de la Divine Comédie est inspirée de l’astrologie musulmane de l’époque. Le fond du cône où séjourne Lucifer est fait d’obscurité et de glace. Il y a un parallélisme avec le fond de ce cône comparé au fond de l’oeil, l’endroit où s’inverse les rayons de la perspective de la lumière. Puisque le purgatoire et Le paradis c’est là ou s’inverse le cône. On revient sur l’idée de vision. L’enfer est gelé dans la pensée musulmane. La surface la plus profonde de l’oeil ou se fixe l’image est l’« humor glacialis », c’est un oeil mort, on traverse la lumière morte pour aller à lumière vivante. On peut se demander, « Nos sens peuvent ils nous tromper ? ». Un mécanisme qui est au coeur des casques de réalité virtuelle. Il met en doute notre certitude sur ce qu’est la croyance dans la réalité. Olivier Nannipieri , Maître de conférence à l’université de Toulon, nous explique que nos sens ne nous trompent pas, c’est notre interprétation qui est erronée. L’erreur est dans l’esprit. C’est l’esprit qui décide si c’est réel ou illusoire. C’est notre esprit qui commence à produire des choses et nous trompent. Si je regarde la fontaine de Duchamp, soit je vois une fontaine soit un urinoir. C’est notre esprit qui choisit ce qu’il veut voir. La distinction entre réel et virtuel ne tient pas. La réalité est plus complexe. Je terminerais avec cette illustration de cette architecte austroaméricain, aussi théoricien de l’architecture, décorateur de théâtre, artiste et sculpteur, Frederick Kiesler. Qui est une des références de mon travail. Il fait une corrélation étroite entre l’espace sans fin et la vision. Il en fera son aphorisme : « La forme ne suit pas la fonction, la fonction suit la vision, la vision suit la réalité ». Il démultipliera les dispositifs avec des machines à voir. L’un et l’autre se croiseront dans des « architectures de la vision ». Dont voici une illustration que je trouvais intéressante à mettre en résonnance avec ton propos. par lesquels les êtres humains construisent et transforment leurs réalités. C’est une pratique qui donne du pouvoir à ceux qui habituellement n’en ont pas. Elle est donc foncièrement politique et opère dans l’ombre et dans des espaces incertains. L’espace négatif est un bon exemple. Les espaces oubliés que tu décris peuvent en effet fonctionner comme espaces sorciers si nous les utilisons comme tels. La sorcellerie s’approprie ces espaces autonomes temporaires ou permanents afin d’agir. C’est sa caractéristique principale, elle agit, c’est sa nature. C’est ça qui la sépare de la plupart des autres pratiques artistiques. Elle ne se contente pas d’observer le monde et de le dépeindre mais elle interfère avec le monde et le transforme. Ultimement, elle déplace notre attention d’une politique humaine à une politique non-humaine. C’est une pratique qui nous permet de participer à des forces qui nous traversent et que nous pouvons suivre au-delà de nos frontières humaines. Ce qui la caractérise est cette identification à l’énergie de l’univers et de la matière même qui nous compose et qui nous étend à l’infini. Mais tout ça, c’est que des mots, pour s’approcher de la sorcellerie, il faut la vivre, sortir de l’artificialité qui caractérise notre société occidentale et découvrir la vie nue. Il ne faut pas enjoliver la sorcellerie, c’est une pratique qui est basée sur l’apprentissage à travers la souffrance et l’adversité. Une des approches les plus originales et intéressantes de la sorcellerie (et du sorcier en particulier) a été entreprise par Deleuze et Guattari dans leur oeuvre monumentale « Mille Plateaux ». En particulier le chapitre : « 1730 – Devenir-intense, devenir-animal, devenir imperceptible. » est relevant pour ce qui nous concerne ici. Bon, je ne suis pas très francophone et je lis surtout en anglais et allemand donc je ne saurais pas te recommander une lecture française qui résume bien leurs idées mais voici un article en anglais : http://www.academia.edu/181993/_Memories_of_a_sorcerer_notes_on_Gilles_Deleuze-Felix_Guattari_Austin_Osman_Spare_and_Anomalous_Sorceries Intéressant surtout pour la partie consacrée à D&G, moins pour celle consacrée à Austin Spare. Peut-être ça pourrait t’intéresser à lire ? J’ai suivi ton lien. J’ai essayé de le saisir. Pas facile. Je ne suis ni chercheuse, ni auteure, ni même philosophe. Mais j’aime à penser que nous sommes des êtres capables de ressentir et que l’intuition donne aussi accès à une forme de connaissance dont une certaine forme de sensibilité en est parfois le meilleur vecteur. Je te propose un dernier échange ? À travers lui je voudrais engager la question d’un corps et l’idée chez Dante d’une multiplicité des puissances de l’âme ? La meute ? Ces essaims en devenir, incalculables, ces expériences exponentielles et démultipliées. Une involution puissante qui façonne l’extérieur en révolutionnant l’intérieur ? Un seul « corps ». Viscéral. La somme n’est pas linéaire mais opère sa prolifération tranquille. Comment ce corps opère ? Cela reste mystérieux. « Vous, sorciers » où êtes-vous ? Devenir, transformation, métamorphose, multiplicité me semblent faire exploser la notion d’individualité. Montrez-moi l’individu exceptionnel, l’anomal ? Ou est-ce une forme de dissolution de l’être ? L’inexprimable expérience dont la puissance fait vaciller les perceptions ordinaires. Percevoir l’imperceptible. À quel type d’affect nous soumettez-vous dans votre travail ? Avons-nous affaire à des individuations très précises, très singulières, mais qui ne se distinguent pas de la même manière que celles définies par un corps organique individué dans l’espace, « des individuations, tout à fait différentes de celle des sujets bien formés qui les reçoivent » (Deleuze et Guattari, Mille). Mais alors comment peut-on définir cette individuation spéciale ? À qui vous adressez vous ? À la lumière de ces découvertes. Je me pose la question de l’humain. Dans la Divine Comédie de Dante, il existe une forme de ransmutation et métamorphose du corps. L’Empyrée étant totalement séparé, extérieur au domaine de la nature, ne pouvant être atteint par des raisonnements physiques. S’opère le « Trasumanar ». Doit-on y voir une transvaluation de l’humain ? Ces réflexions de « sorciers » impliquent ils une forme d’abolition du corps, et par conséquent du sujet ? Y a-t il un engagement du corps dans votre travail ? Ces réflexions, cette pratique qui est la vôtre, impliquent forcément pour le public une forme d’étrangeté face à son propre corps ? Que doit engager le public de sa propre condition d’homme pour appréhender votre travail ? Merci de t’engager autant dans ces réflexions. Je pense que tu as raison de soulever l’importance de l’intuition dans l’approche de la connaissance et de mettre l’accent sur la sensibilité. Ce sont les meilleurs atouts à mon avis pour naviguer les eaux troubles de notre monde et existence. Si tu me permets, avant d’entrer dans les questions que tu soulèves, je voudrais mettre l’accent sur le mystère absolu de la vie. Personne sait d’où elle vient et pourquoi certaines choses sont vivantes et d’autres pas. Les scientifiques parlent d’évolution et nous enseignent qu’à un certain moment de cette évolution, la vie semble avoir apparu spontanément, comme par un acte magique. L’approche est étonnante car les scientifiques se disent rationnels mais répondent à la question d’où vient la vie en proposant quelque chose qui ressemble étrangement à un acte de magie ou de génération spontanée, une idée qui est tout sauf rationnelle. Il y a d’autres théories, le panpsychisme, l’animisme, le hylozoisme etc. qui ne sont pas basées sur l’idée que la vie est née à un certain moment de l’évolution mais que la matière est douée de vie par elle même. Je pense que cette approche est essentielle pour penser et pratiquer la sorcellerie. Si tout est vivant en quelque sorte et se différencie seulement en degré de vitalité, nous sommes potentiellement capables d’entrer en relation avec les êtres et forces qui peuplent notre planète et l’univers. Une telle réalisation n’enlève rien au mystère qui nous entoure mais étend notre champ d’action, et celui de l’art pour inclure d’autres formes d’êtres. Je pense que l’art de l’avenir, qui sera foncièrement sorcier, doit effacer les catégories humaines entre nature et culture et créer des alliances avec les êtres non-humains. Le sorcier ou « l’individu exceptionnel » comme Deleuze et Guattari l’appellent, opère aux frontières des catégories, entre l’humain et le non-humain, entre la vie et la mort. Il se situe dans un monde entre les mondes. Peut être ça répond à ta question : ou êtes vous, sorciers ? monde, les positions d’identifications sont mouvantes. Il y a comme une contamination croisée entre les espèces qui peuplent ces mondes. Qu’est ce que ça fait à notre corps et à notre esprit de s’ouvrir consciemment à des actants non-humains ? Qui s’adresse à nous et à qui nous nous adressons par notre art ? Ce sont des questions auxquelles je n’ai pas de réponse définitive. Je pense qu’il faut expérimenter et s’ouvrir à l’Autre. Oui, il y a un engagement profond du corps dans notre travail. Les vidéos que nous allons montrer lors de notre exposition commune ont majoritairement été tournées à la frontière de l’Arctique. Nous avons voyagé une douzaine de fois dans cette région, souvent en hiver pour découvrir la vie cachée en dessous des glaciers ou en nous confrontant à des tempêtes de neige qui semblaient éternelles et au silence inhospitalier de grottes profondes. Une grande partie des séquences ont été tournées en rampant dans des recoins sombres en dessous des langues glacières. J’ai vu plusieurs fois des morceaux de glaces qui devaient peser plusieurs centaines de kilos tomber à côté de moi quand je filmais. On se rend vite compte de notre fragilité quand on travaille sous de telles conditions. Personne ne se rend compte de l’engagement investi et des heures passées dans ces conditions climatiques extrêmes pour filmer ces séquences. C’est normal, ce qui compte pour le public, c’est ce qu’on voit sur les vidéos qui sont exposées et non pas comment elles ont été réalisées. Je ne sais pas dire si nous images arrivent à communiquer cette tension présente lors de la réalisation de l’oeuvre et si on sait s’identifier aux forces qui la traversent. Surtout à notre époque qui est caractérisée par une grande artificialité dans la production d’images. Hollywood nous donne l’impression que tout est faisable et la plupart des gens ne pensent plus que ce qu’ils voient à l’écran est lié en quoi que ce soit à leurs expériences personnelles ou physiques. Je ne sais pas, en fin de compte je suppose que le degré d’identification avec de telles phénomènes dépend de la sensibilité de chacun. Oui, ces réflexions de sorcier impliquent une transvaluation de l’humain, pas seulement de l’humain mais de tout en fait, eine Umwertung aller Werte comme Nietzsche disait. La sorcellerie s’engage avec la matière aux seuils d’annihilation et de disparition mais elle ne renie pas le corps. Au contraire, elles utilisent le corps comme leurre pour attirer le daemonique et s’associer à lui. En s’ouvrant de telle façon, ou plutôt en étant ouvert violemment, on rencontre un monde fascinant, hostile et imprévisible. Il faut être conscient des risques. L’action de dépasser les limites humaines invite souvent des conséquences daemoniques. Pour le dire de nouveau avec des mots de Nietzsche: « wenn du lange in einen Abgrund blickst, blickt der Abgrund auch in dich hinein ». Mais il faut savoir aussi qu’à la fin de nos vies humaines, nous serons tous confrontés à cet Abgrund de toute façon. La sorcellerie est un état de conscience qui anticipe ce destin commun. Toute chose vivante doit mourir et nous devons tous confronter notre propre mort à un certain moment. Ce qui différencie le sorcier, et peut être l’individu exceptionnel comme Deleuze et Guattari le qualifient, c’est qu’il s’identifie consciemment avec la transformation, la métamorphose et la multiplicité qui fait exploser sa notion d’individualité. Contrairement à la plupart des gens, il sait que cette confrontation est le grand défi de sa vie. Je crois que nos échanges me transforment. Je ressens une forme de contamination bienveillante. Et comme le mystère de la vie est ainsi fait, je rencontre d’autres sorciers dont je ne soupçonnais pas l’existence. Quelques heures avant de recevoir ta réponse, je suis allée entendre la parole de mon ami et artiste Florian Sumi. Tu me parles de ces scientifiques. Pour son exposition « Membrains » au CAC Brétigny en France, Florian Sumi a modelé dans la matière 72 visages. Une longue lignée de présences silencieuses disposées de telle manière qu’on la croirait infinie. Le regard fixe, ces regards empreints dans la matière semblent nous envoûter chacun à leur manière de leurs théories. Se côtoient ainsi scientifiques, sorciers et sorcières, illustres ou non, et même, des divinités. Tous ont de commun d’avoir manipulé consciemment ou intuitivement des champs magnétiques, de l’énergie, que l’on peut également nommer échanges d’informations.Déployant une conscience aiguë des flux qui nous traversent, de ces voies de communication numérique, organique, sensuelle, cellulaire et psychique, que nous utilisons chaque jour. Chacun dans ses expériences de pensées, intuitives et magiques. Faut il comprendre que peu importe notre spectre nous sommes tous liés par une même soif de connaître ou d’inventer notre propre paradigme de vie ? Peu importe la voie/voix, y a-t-il quelque chose d’universel ? Ou y a-t-il autant de voies/voix possibles, que de rapports au monde et d’expériences de penser ? conditions j’ai pensé à cette légende hindoue que me racontait ma mère quand j’étais petite. Dont je ne sais pas, à l’aveu, d’où elle provient exactement. Elle raconte qu’il y eut un temps où tous les hommes étaient des dieux. Mais ils abusèrent tellement de leur divinité que Brahma, le maître des dieux, décida de leur ôter le pouvoir divin et de le cacher à un endroit où il leur serait impossible de le retrouver. Le grand problème fut donc de lui trouver une cachette. Lorsque les dieux mineurs furent convoqués à un conseil pour résoudre ce problème, ils proposèrent ceci : – Enterrons la divinité de l’homme dans la terre. Mais Brahma répondit : – Non, cela ne suffit pas, car l’homme creusera et la trouvera. Alors les dieux répliquèrent : – Dans ce cas, jetons la divinité dans le plus profond des océans. Mais Brahma répondit à nouveau : – Non, car tôt ou tard, l’homme explorera les profondeurs de tous les océans, et il est certain qu’un jour, il la trouvera et la remontera à la surface. Alors les dieux mineurs conclurent : – Nous ne savons pas où la cacher car il ne semble pas exister sur terre ou dans la mer d’endroit que l’homme ne puisse atteindre un jour. Alors Brahma dit : – Voici ce que nous ferons de la divinité de l’homme : nous la cacherons au plus profond de lui-même, car c’est le seul endroit où il ne pensera jamais à chercher. démons. Le génie de la mathématique selon lui réclame des anges. Gödel, fortement déiste, pense qu’il y a « autre chose » qu’une pensée purement « mécanique » telle que la « machine de Turing » la modélise. Il y aurait comme un monde idéel, peut être non humain qui redouble le nôtre ? Entre mathématique et métamathématique, ce grand esprit croit également aux diables et à l’esprit du mal. Voilà peut-être ce que je recherche derrière les réalités virtuelles. Dont je n’aime pas le mot. Contre Nature. Je préfère parler de plusieurs degrés de réalité. Mais puisque je reste dans des sciences rationnelles. L’algorithme étant profondément mathématique. Je m’identifie aisément à Gödel. Était il fou ? au sens le plus commun du terme ? Les recherches de Gödel portent précisément sur la raison et ses limites. Ou plus exactement, car Gödel est « fanatiquement rationnel », sur les limites de la raison calculante, et sur les possibilités inconnues de la raison intuitive. Je repensais aussi à ce terrain que nous occupons, l’art. Et je repensais à la meute. Et à la contagion. Une chose qui me fascine dans les pratiques numériques est une forme d’ouverture à l’autre. Que tu évoquais. Et une profonde notion de partage. Je cite souvent Idriss Aberkane. Théoricien du biomimétisme qui s’inspire de l’observation des écosystèmes naturels pour imaginer les futurs développements humains. Il commence souvent ses conférences par cette anecdote. Quand on donne 20 euros à quelqu’un, on perd ces 20 euros et l’autre se retrouve enrichie de ces 20 euros. Si je partage une connaissance avec quelqu’un à priori je ne perds pas cette connaissance. Et la somme de nos connaissances ouvre une troisième voix. Les processus créatifs, ou le contact avec l’autre tout simplement, tel que je les conçois s’opèrent toujours dans un rapport à l’autre. Je suis rarement seule dans l’acte créatif. Bien sûr il y a toujours l’impulsion, mais une fois qu’elle se mêle à d’autres forces, on ne sait jamais où elle va vraiment nous porter. Il y a une forme de force magique à collaborer. La meute du sorcier ? C’est aussi comprendre l’autre. Le considérer, composer avec lui. C’est un système ouvert qui se remodèle en permanence. Et c’est pourquoi je pourrais encore continuer ces échanges. Peut-être y-a-t-il une forme de regard croisé, pour reprendre ta citation : « wenn du lange in einen Abgrund blickst, blickt der Abgrund auch in dich hinein ». As Above So Below, on Earth as it is in heaven, like a perpetual ebb and flow moving between one and the other in an ontological drifting, a maelstrom of essence and meaning that leads us to the ‘in-between’, an illusion? Coming closer to the whole, seizing it to the point of losing oneself somewhere between the two. I imagine it as a cosmic dimension expressed by light. Light that helps me understand the world around me. Carrying me away in a corpus of visions that are sometimes invisible, at least to my naked eye. A form of expression that takes me far away, far away from everything. Looking for another place, outside of time and of myself, something that isn’t me but comes close to who I am, something dizzying, like a world within a world flooded in intense, blinding light that annihilates space. I am weightless. This return to the self, a sudden, frenetic desire to question the essence of things, throwing up essential, universal questions, was prompted by a very unexpected phenomenon: virtual reality. Technological states of being, artificial and non-organic, not even alive. Inhuman? Criticised for its dissimilarity with reality as we know it, our taste for it alienates us from ourselves. Yet it was through these virtual realities that I was able to change my perspective, consider new paradigms and regain control over my body and senses, through unexpected revelations on my own place in the world. I’ve always been obsessed by my complete inability, as an architect, to define what ‘space’ is, what ‘a space’ is, to the point that I ran out of words to describe it. By reduction, this led me to question the essence of everything. The invisible fused with the visible. that ” sorcery allows us to leave behind our human form and venture out into the unknown”. I’d like to take this sentence, out of context perhaps, and corroborate it with Dante’s ‘Trasumanar’. As it moves towards the heavens, the body vanishes in metamorphosis, the human gives way to the ultimate dimension. An unknown dimension. A link back to sorcery that resonates powerfully through your words. A link that conditions our relationship to the world. It strikes me as simultaneously a point of convergence and friction. My tie to technology, a sometimes-naive relationship with science fiction, from which I borrow its traditional codes. Am I drifting away from the essential? From on high, in full light, confronted by the obscurity that brings us closer to ourselves. I think I read this somewhere in your writing… From below, deep in the heart of the abyss, in the crux of all earthly forces…what do you think? What is this power that lies dormant? What movement guides us? Yes, the light “helps us understand the world around us”. The world casts its reflection on the mind and this reflection is the raw material we use to contemplate and represent it. Vision may be our primary tool of thought, but I believe there are many ways of seeing. You are right to note that we are all seeking an “elsewhere”, we are called on to explore the far-flung depths that exist beyond our grasp of space (and time). What you describe as “a world within a world flooded in intense, blinding light that annihilates space” resonates with me, and paradoxically I feel very close to the way in which I respond to “darkness” and the mysteries of the universe. Space and time are abstract concepts that cannot help us grasp the mystery of cosmic existence. Indeed, “what is this power that lies dormant? What movement guides us?”. These are questions that lie beyond what science is capable of teaching us. The answers to these questions are inevitably subjective and force us to stray from rationalism and begin to rediscover the brute force of imagination. The idea is not to reject scientific knowledge, but rather to tinge it with speculation. Science fiction is not a bad way of doing this. All self-respecting science fiction incorporates scientific knowledge with a little added extra, such as the concept of parallel universes, which is just another way of speculating on the origins of life, no worse a notion than any other. The best science fiction, like our ancestors’ wisdom, seems to spring from the depths of the abyss. I don’t think it matters whether this abyss is filled with blinding light or the deepest black – the two probably mean the same, in the end. What matters is to move away from enlightened consciousness, and to begin exploring the mysteries of our cosmic existence. Art is undoubtedly the best way of achieving this. As you know, I approach the question of existence from the perspective of a sorcerer. My practice is fundamentally chthonic, based on plunging to the depths of the underworld rather than elevating towards the heavens. I think it is important to note that amidst all this darkness we carry inside us, our path is lit by astral glyphs that arise from the dawn of time. If I may, I’d like to emphasise one aspect that the modern era seems to have forgotten. Everything in our environment is designed to reflect light and most people spend their entire lives in an atmosphere cast in cold, sterile light. By shutting out the darkness, we have bricked off the tunnel that would once have led to something that exists beyond. I’ve always been fascinated by cave paintings. 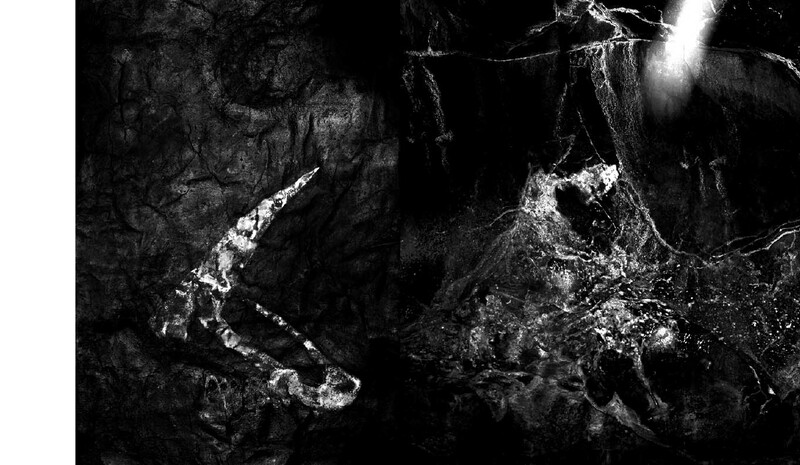 Palaeolithic artists once clambered into the depths of the Earth, places where no light shone, to create their paintings and bring out these mythical creatures from the void. To understand how new consciousnesses emerge, we might start by asking what pushed them to venture into these places starved of any natural light. It might be interesting to consider how our eyes respond when deprived of light. You have to consider that we see primarily with our brain and spirit. The eye is just organic matter, the eye doesn’t see, the person attached to the eye does. If you keep your eyes open in complete darkness, your vision is left to its own devices, and withdraws. Light deprivation acts like a descent into a hidden dimension, like a tunnel opening out onto a new, inwardlooking, subterranean vision. Our path is no longer lit by the sun as we know it, but rather by the “black sun”, the sun of the mystics and visionaries. Bataille said that “night is also a sun”. Dante invented the word “Trasumanar”, and nobody can agree on a strict definition of the term. I don’t know if it expresses the cosmic destiny of our practice. Our goal is to surpass the human, but there is no “ultimate” aim in our art, rather we sense the idea of a permanent becoming, a continuous metamorphosis. We are living in highly apocalyptic times, apocalyptic in the sense of anticipating the end of the world, rather than in the etymological sense of a revelation. Nowadays, we refer to our era as the Anthropocene, a geological period characterised by human impact on the evolution of our planet. I wonder how you position your art and your thought process within the context of this era that seeks to redefine what it is to be human? Does your interest in science fiction stem from a desire to understand the fate of humanity? The metaphysics of the future? I feel we don’t consider how art might be useful often enough. It strikes me as essential that we shake things up and redefine our responsibilities. Why do we make art? What do we hope to achieve? There’s something that fascinates me in our exchange of “visions” and especially in your work. I took a little time to reply to you because I’ve been caught up in these ideas, which lead me into a state of reflection that escapes me. Which draws me in. I wanted to capture these thoughts, understand the “sorcerer’s approach”, but was unsure how to handle myself and attempt to embrace this new consciousness. Is it a process? Should I close my eyes? Certainly I should seek distance from artificial light. So many artifices. Is the idea to determine a set path? I needed to know. And something you wrote to me caught my eye. It’s something I have often experienced for myself: “I keep my eyes open in complete darkness, my vision is left to its own devices, and withdraws. Light deprivation acts like a descent into a hidden dimension, like a tunnel opening out onto a new, inward-looking, subterranean vision.” It reminds me of the Dante quote: “When you look too far into the darkness, you may imagine, and lose your way”. Which I’d like to rewrite as: “When you look too far into the darkness, you may lose your way, and imagine”. It is here, in this shadowy space, that I join you. And may answer your question. Imagination. “Rediscovering the brute force of imagination”. The world is something familiar, intimate, a well-meaning accomplice and proscription. I arrived at art almost by “serendipity”. Calculated chance. In my professional practice as an architect, “architecture” constrains and restricts, and what it contains is both an “object” and an object of thought. Such restricted space. Nothing left free to remain undefined, uncertain, no negative space. No room given over to the impalpable, the elements we all feel but cannot describe. Forgotten space, poor accomplices, heretopia. Other space. Fiction as its own, separate space. Its own dominion, our dominion. A self-standing place. A place of freedom. Room to breathe, a breath. Because it is there. Because it doesn’t need much. Because we are free to imagine, however little we may know. Because intuition often transforms into truth. Because even lies may find their place. Because monsters can also make promises. My respect for Donna Haraway is primarily about the respect she pays to fiction, according it as much worth as philosophy. Fiction is a necessity. My deep interest in science fiction isn’t just about feeding my love of technology, it’s about exploring possibilities. An ability to step away from habit and indoctrination, changing your attitude and approach to take steps towards the other. Towards yourself. Fiction is designed to be narrated, like a universal language, an oral tradition, an incantation, a story. A story that each individual shapes for themselves. A story to be told. And in this space, our eyes may still only be organic matter, but our vision expands. To quote Donna Haraway, the boundary that separates science fiction from social reality is nothing more than anoptical illusion. Art “exists outside of time”. With this in mind, I’d like to redirect the question: can you give more details on how you practice your sorcery in such a specific context? If I wanted to start exploring it, where would you recommend I begin? With respect to optical illusions. What you describe fascinates me: “It might be interesting to consider how our eyes respond when deprived of light. You have to consider that we see primarily with our brain and spirit. The eye is just organic matter, the eye doesn’t see, the person attached to the eye does.” One of the quirks that immediately drew me to Divine Comedy is its overarching architecture. I was surprised to learn that Divine Comedy’s architecture was inspired by the Islamic astrology of the times. The bottom of the cone where Lucifer resides is made from darkness and ice. There’s a parallel here with he back of the eye, the place where rays of light and the perspective of light are reversed. Purgatory and paradise: this is where the cone is reversed. It comes back to the idea of vision. In Islamic thought, hell is a frozen place. The deepest surface of the eye where images are captured is the “humor glacialis”, a dead eye, dead light must be passed through to reach living light. We might ask, “can our senses deceive us?”. This mechanism lies at the heart of virtual reality headsets. It makes us doubt what we believe to be true. Olivier Nannipieri, a lecturer at the University of Toulon, explains that our senses don’t deceive us, our interpretation of those senses does. The mistake is made by the mind. The brain decides what is real, and what is illusion. The brain begins playing tricks on us. If I look at Duchamp’s fountain, I see either a fountain or a urinal. Our brain chooses what to see. The distinction between the real and virtual doesn’t exist. Reality is more complex than that. I’ll close with this example by Austrian-American architect, architecture theorist, theatre designer, artist and sculptor Frederick Kiesler. He’s one of my sources of inspiration in my work. He drew parallels between infinite space and vision. He said: “Form doesn’t follow function, function follows vision, and vision follows reality”. 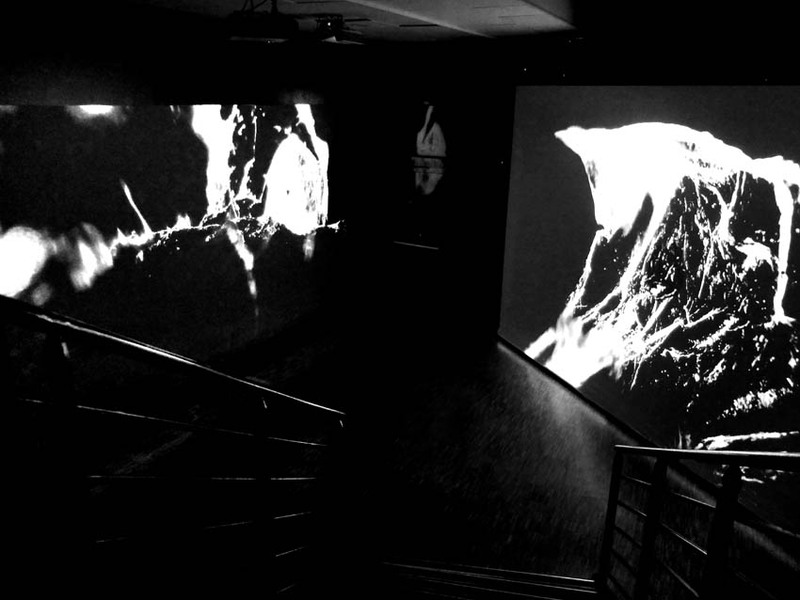 He used seeing machines to experiment his approaches, combining and crossreferencing them in “architectures of vision”. I thought that would be an interesting illustration to corroborate your ideas. I think we have to embrace this consciousness in a personal way. I wouldn’t dare to offer a categoric definition of sorcery because words deform its true meaning. To my mind, it’s a practice that stems from an empathy with nature and the universe and results in individual empowerment that allows you to form your own reality rather than submit to the version imposed on us by big business and the media. Sorcery is the force that engages with the fundamental processes humans use to build and shape their realities. It’s a practice that empowers the disempowered. As a result, it is in its essence political, and thrives in the shadows and ambiguous spaces. Negative space would be a good example. The forgotten spaces you describe can operate as magical spaces if we use them as such. Sorcery appropriates these independent temporary and permanent spaces to become active. That is its primary characteristic: it is naturally active. That’s what separates it from other artistic practices. Rather than simply observing and describing the world, it intervenes in the world and transforms it. Ultimately, it shifts our attentions from a human-centric attitude to a focus on the nonhuman. It’s a practice that allows us to shape the forces that lie within us, forces we can trace beyond our human boundaries. It identifies with the energy of the universe and the very essence of ourselves, matter that carries us into infinity. But these are just words, and to truly grasp sorcery you need to live it, extract yourself from the artificial binds of western society and explore life as it is, raw and bare. There’s no way of trussing up sorcery, it’s a practice based on learning through suffering and adversity. PS: One of the most original and interesting investigations of sorcery (and sorcerers in particular) is by Deleuze and Guattari in their epic A Thousand Plateaus, and the chapter “1730 – Becoming-Intense, Becoming-Animal, Becoming- Imperceptible” is particularly relevant in light of this discussion. I am not very “francophone”, so I wouldn’t be able to point you towards a good French summary of their ideas, but here’s an article in English: http://www.academia.edu/181993/_Memories_of_a_sorcerer_notes_on_Gilles_Deleuze-Felix_Guattari_Austin_Osman_Spare_and_Anomalous_Sorceries The part given over to D&G is interesting, perhaps less so the space given over to Austin Spare. You might find it of use. I read the article you linked to. I tried to understand it, although it wasn’t easy. I’m not a researcher. I’m not a writer, or a philosopher. But I like to think we’re all capable of feeling and that intuition grants us access to a type of consciousness perhaps best described as a certain kind of sensitivity. Can I suggest a final topic for us to discuss? I wanted to look at the idea of the human body and Dante’s conception of the soul’s multiple powers. A pack, a group? “You, sorcerers”. Growing throngs, incalculable, exponential and multiple experiences. A powerful involution that shapes the external by revolutionising the internal? A single “body”. Visceral. The sum of the parts isn’t linear, but grows steadily. How does this body work? It remains a mystery. “You, sorcerers” – where are you? Development, transformation, metamorphosis, multiplicity, all shatter the notion of individuality. Show me a truly exceptional, abnormal individual. Or is that a way of dissolving the individual? An inexpressible experience, the force of which overturns ordinary perceptions. Perceiving the imperceptible. What affect do you create through your work? Does it concern highly specific and unique individuation, particles that are not distinguishable in the same way as those governed by an organic body that is individuated in space? “Individuations that are very different from the well-formed subjects receiving them” (Deleuze and Guattari, Thousand). How then might we define this special form of individuation? Who are you addressing? In light of these discoveries: the human question preoccupies my mind. In Dante’s Divine Comedy, there is this idea of a kind of transmutation and metamorphosis of the body. The heavens are entirely separate, external to the natural world, reachable only by physical reason. This is the setting in which the phenomenon of Trasumanar occurs. Does this represent a transvaluation of the human? Do these “sorcerer’s” contemplations imply a negation of the body, and consequently, of the subject? Is there a bodily dimension to your work? These reflections, your work, naturally require the audience to experience a strange disconnect from their own bodies. How must the audience draw on their own experience of being human in order to appreciate your work? Thank you for committing yourself so much in these reflections. I think you are right to raise the issue of the importance of intuition in the concept of knowledge, and to emphasise the idea of sensitivity. I believe these are the greatest assets we have in navigating the choppy waters of our world and existence. If you allow me, before going into the questions you raise, I would like to emphasize the absolute mystery of life. Nobody knows where life comes from, and why some things live while others do not. Scientists talk of evolution and teach us that at some point in this evolution, life seems to have flourished spontaneously, as if by magic. This approach is astonishing, as scientists claim to be rational people, yet answer the question of how life came to be with something that feels strangely like magic, a sudden appearing act, an idea that is anything but rational. There are other theories (panpsychism, animism, hylozoism, etc.) that are not based on the founding idea that life appeared at a certain point in time, but that all matter is inherently alive. I think this belief is central to think and practice sorcery. If everything is alive, in some way or another, and if all things differ only in the degree of their vitality, then we are potentially capable of communicating with all the beings and forces that inhabit our planet and universe. This realisation does nothing to clarify the mystery that surrounds us, but rather broadens our scope of action, and that of art, to include other forms of beings. I think the art of the future will be inherently sorcerous, and should strive to erase the human-made barriers erected between nature and culture to create alliances with non-human beings. The sorcerer, or the “exceptional individual” as Deleuze and Guattari put it, operates around these barriers, in the borderlands between the human and the non-human, life and death. The sorcerer exists in a world between worlds. Perhaps that answers your question: sorcerers – where are you? As to “who are you addressing?”, this might be the question I have most often asked myself these past few years. Although art is based on the human world being infiltrated by a different world, positions of identification are constantly shifting. It’s as if there were a form of crosscontamination occurring between the species that populate these worlds. What happens to our body and mind when we consciously open ourselves to non-human forces? Who is addressing us, and who do we seek to address through our art? These are questions to which I have no definitive answers. I think we need to experiment and stay open to the Other. The body is heavily called upon in our work. Most of the videos we will be showing during our collaborative exhibition were shot on the fringes of the Arctic. We have travelled a dozen times to this region, often in the winter, to discover the hidden life beneath glaciers or to confront seemingly endless snowstorms and the inhospitable silence of deep caves. 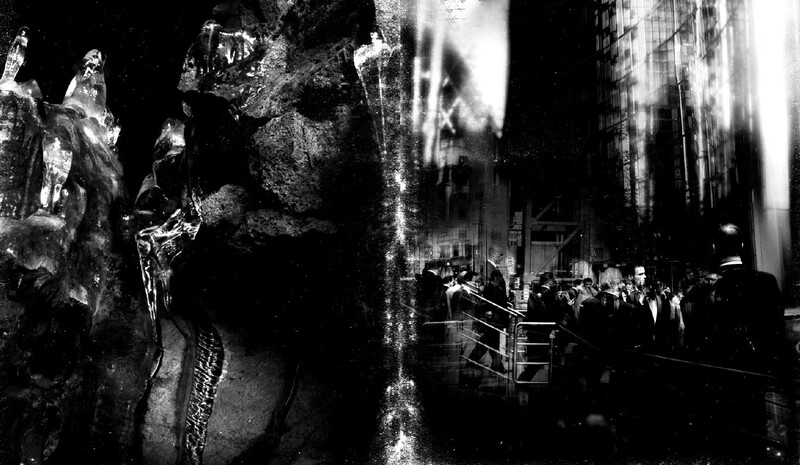 A large part of the sequences were filmed after creeping into dark recesses beneath glacier tongues. Many times as I was filming, I watched as huge chunks of ice weighing several hundreds of kilos fell at my side. When you work in these conditions, you soon realise just how fragile we are. Nobody quite understands the effort it took, the long hours spent in these extreme conditions. Which is completely normal – what matters to the public are the videos themselves, not how they were made. I do not know if our images are able to communicate the tension that was present during the realization of the work, and if the public will be able to identify with the forces at play. Our era is characterised by the intensely artificial means now used to produce images. Hollywood gives us the impression that everything is possible, and most people no longer believe that anything they see on the screen is in any way related to their own personal and physical experiences. I don’t know, ultimately, I suppose that people’s ability to identify with a particular phenomenon depends on their own degree of sensitivity. These sorcerous reflections do imply a transvaluation of the human, yes. Not just the human, in fact: everything. “Eine Umwertung aller Werte”, as Nietzsche said. Sorcery engages with matter at the thresholds of annihilation and disappearance but it does not negate the body. To the contrary, it uses the body as a lure to attract the daemonic and associate with it. By opening us up in such manner , or rather by being opened up so violently, a fascinating, hostile and unpredictable world is revealed to us. We have to be aware of the risks. Going beyond human limits often invites daemonic consequences. Yet again, Nietzsche says it best: “Wenn du lange in einen Abgrund blickst, blickt der Abgrund auch in dich hinein”. But we must also know that at the end of our lives, we will all be facing this Abgrund anyway. Sorcery is a state of consciousness that anticipates this common destiny. Every living thing must die and we must all confront our own death at a certain moment. What differentiates the sorcerer, and perhaps the exceptional individual as Deleuze and Guattari call him, is that he consciously identifies with the transformation, metamorphosis and multiplicity that shatters his notion of individuality. Unlike most people, he knows that this confrontation is the big challenge of his life. I think our discussion is having a profound effect on me. I feel a kind of positive contamination happening. And because such are the mysterious workings of life, I’m meeting sorcerers I never knew existed. A few hours before receiving your reply, I went to hear my friend and artist Florian Sumi talk. You mentioned scientists. For his Membrains exhibition at the CAC Brétigny in France, Florian Sumi sculpted 72 faces. A long line of silent presences, laid out to appear infinite. Gazing steadfastly ahead, their eyes embedded in the material, seemingly propagating their theories in silence. Scientists, sorcerers and witches rub shoulders, famous or unknown, and a handful of divinities. All consciously or intuitively manipulate magnetic fields, the energy that you could also call information exchange. To do so, they draw on their heightened awareness of the flows that run throughus, digital, organic, sensual, cellular and psychic lines of communication we use on a daily basis. Each applies their own intuitive, magical experiences of thought. Could it be that whoever we are, we are all bound by the same hunger to know or invent our own life paradigm? That whatever the path, we all follow the same universal route? Or are there as many different paths as there are approaches to the world and experiences of thought? I read your letter, and your fascinating account of how you produced your work. It gave me a better understanding of the power that radiates from your videos. I think when you get to the stage of pouring so much of yourself into your work… It escapes us. It’s larger than us, it becomes fact. Clearly, when we respond to such a creative urge, an impulsion that overpowers us and pushes us to conquer our own limits, a little of the magic gets passed on. I spent a long time hesitating before writing what I am about to share with you now. But when I imagined you in those circumstances, I thought back to a Hindu legend my mum told me when I was a little girl. To tell you the truth, I don’t know where exactly the tale comes from. But it tells of a time when all men were gods. Yet they abused their godly status to such an extent that Brahma, the master of the gods, decided to strip them of their divine power and hide it somewhere it would be impossible for them to find. The problem was choosing the right hiding place. When the minor gods were summoned to a council to resolve the problem, they suggested the following: “Let us bury Man’s divinity in the earth.” But Brahma replied: “That won’t be enough. Man will dig, and find it.” And so the gods suggested: “In that case, let us throw the divinity into the deepest of the oceans.” But Brahma shook his head. “Sooner or later, Man will explore the depths of all sea beds, and one day he will find it, and bring it back to the shore.” The minor gods concluded: “We don’t know where to hide it. There seems to be no place on Earth or at sea, no place at all that Man cannot someday reach.” And so Brahma said: “Here is what we shall do with Man’s divinity. Let us hide it deep within himself, as this is the only place he will not think to look.” According to the legend, from that point on, Man travelled around the world, searching far and wide, climbing, exploring, diving and digging to find the thing that lay within him all along. I think virtual realities have a sorcerer’s grip on my soul. I feel as if I’m nourishing a multifaceted thought process through my human and non-human interactions, asynchronous exchanges, technological incantations. The result is a kind of polysemy. Sometimes, its meaning and essence slips out of reach. I belong with Gödel’s demons and insane philosophy. This logician and mathematician was incredibly insightful and gifted, and was known for his incompleteness theorems. He attempted to use a system of logic to prove the existence of living beings in parallel mathematical dimensions. Kurt Gödel believed in angels and demons. He believed the genius of mathematics was a gift from the angels. As a strong believer in the concept of gods, he also believed in the existence of something else, beyond the purely “mechanical” as the Turing machine would have us believe. Could there be an ideal world, perhaps a non-human world layered under our own? Somewhere between mathematics and metamathematics, this great thinker also believed in devils and the concept of evil. Perhaps this is what I’m looking for within these virtual realities. Although I don’t like the term. It goes against nature. I prefer the idea of us having several degrees of reality. But since we’re discussing rational sciences… Algorithms are profoundly mathematical. I feel a kinship with Gödel. Was he crazy? In the broad sense of the term? Gödel’s research specifically concerns reason and its limits. Or more precisely, because Gödel was “fanatically rational”, the limits of calculated reason, and the unknown possibilities of intuitive reason. It makes me think about our own domain, the world of art. And the idea of a pack. And contagion. What fascinates me about the digital field is how it constitutes a form of openness to others. Which you mentioned. There’s a deep sense of sharing. I often quote Idriss Aberkane. This biomimetics theorist was inspired by his observations of natural ecosystems in imagining how humanity might develop in the future. He often opened his conferences with this anecdote. When you give someone €20, you lose €20 and the other person is €20 richer. If I share knowledge with someone, I don’t appear to lose that knowledge. And the sum of our knowledge forms a third party. Creative processes, or simply contact with another, are always based on relationships with the other. I am very rarely creative alone. Of course, we each have our own urges and impulsions. But once this instinct connects with other forces, you never really know where you might end up. There’s a sense of magic to collaborating. The sorcerer’s pack? That’s understanding others, too. Considering the other, creating alongside them. An open and ever-changing system. And that’s why I could continue writing so much more. Perhaps it is a meeting of minds, to reiterate your quote: “Wenn du lange in einen Abgrund blickst, blickt der Abgrund auch in dich hinein”.